Available in a range of classic colors, a sink from the Corian® Spicy Collection will provide an added touch of elegance to any room. Available in Glacier white, Designer White, and Cameo white. 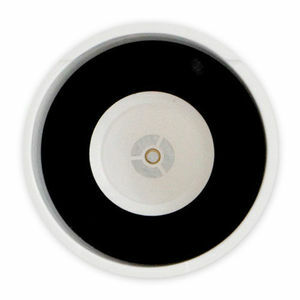 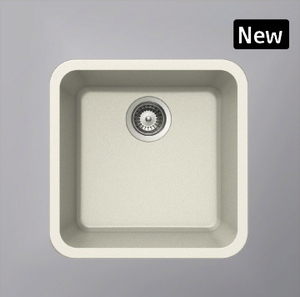 Can be seamlessly 'undermounted' with any of the recommended kitchen colours. 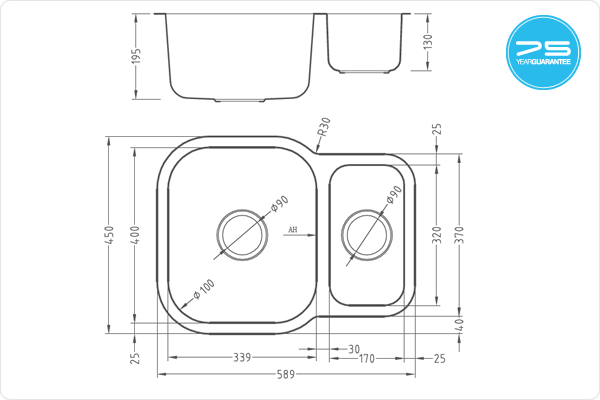 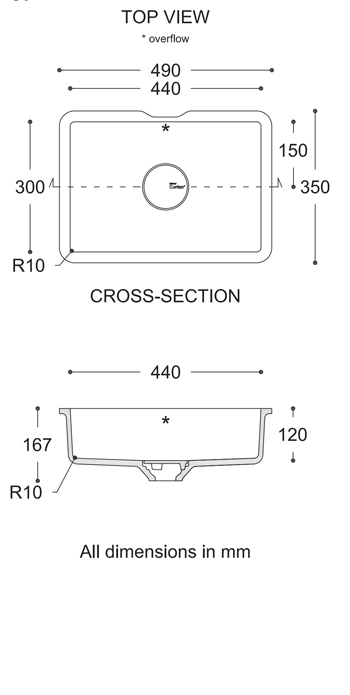 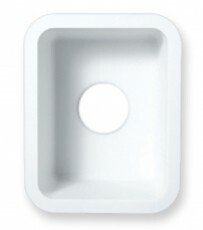 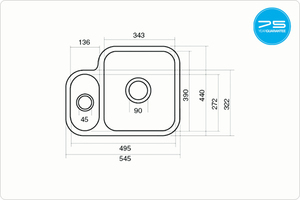 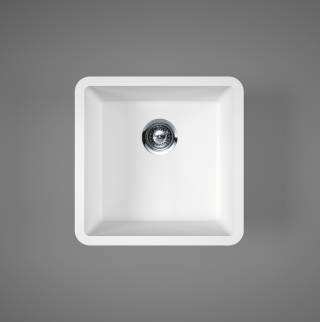 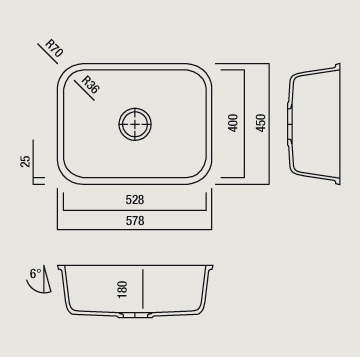 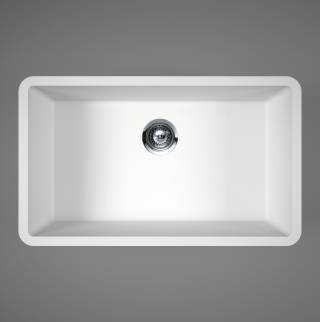 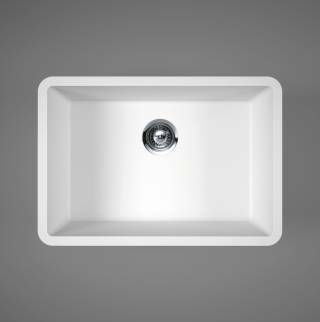 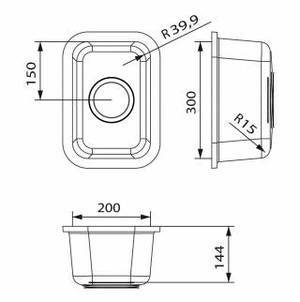 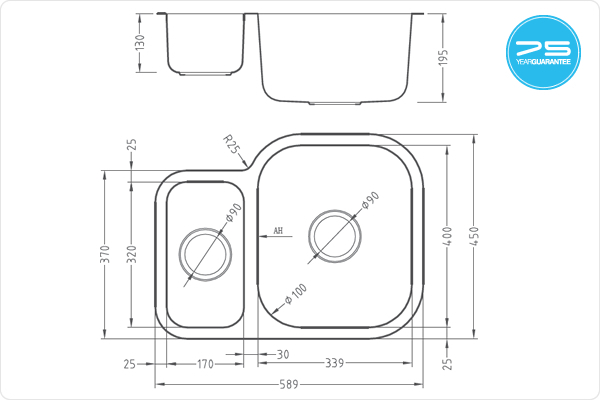 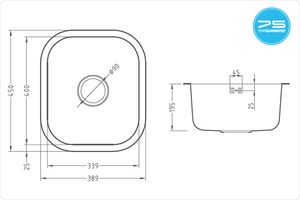 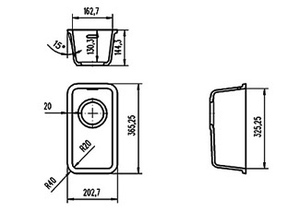 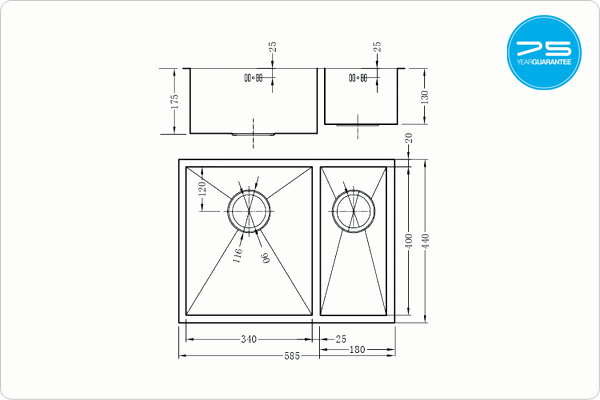 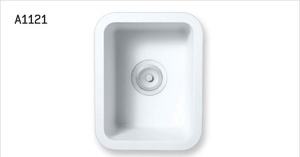 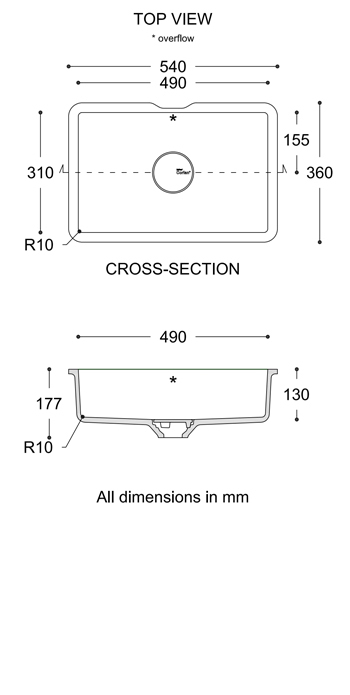 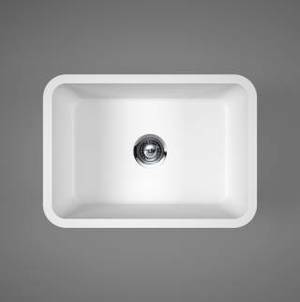 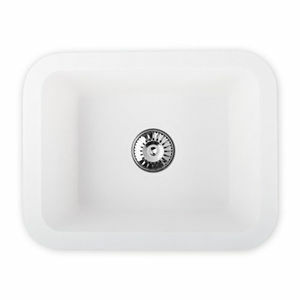 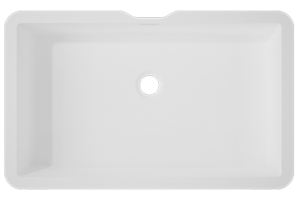 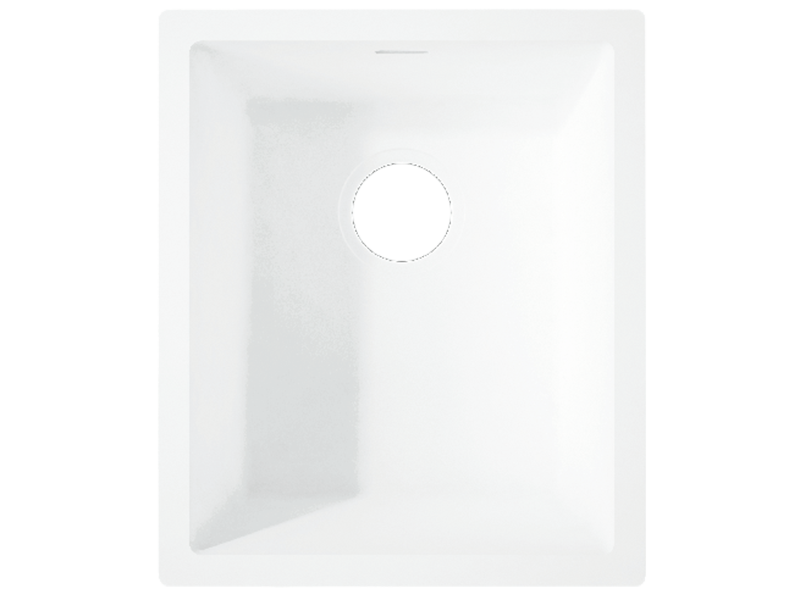 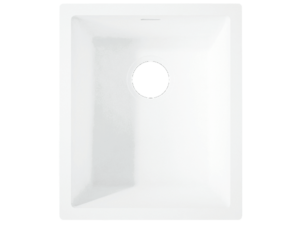 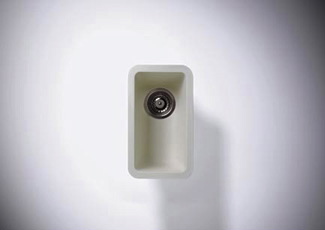 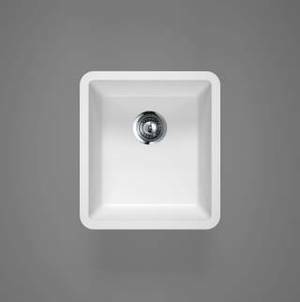 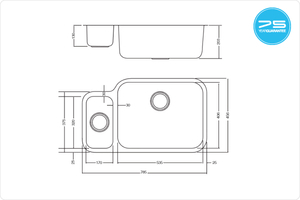 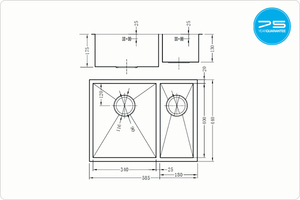 Sinks 9910 and 9920 not available in Cameo white. 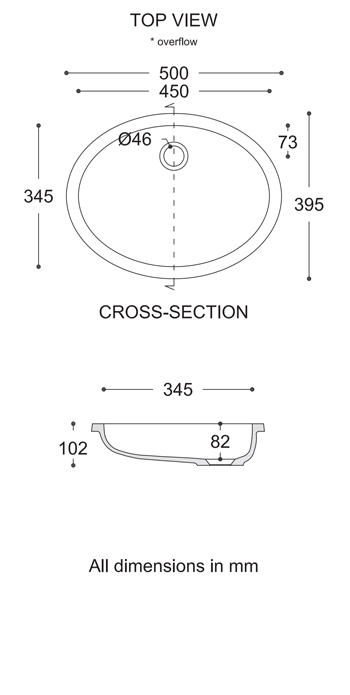 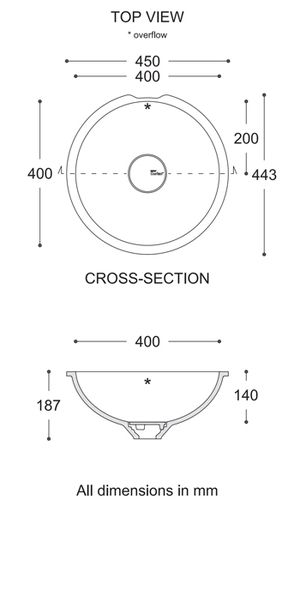 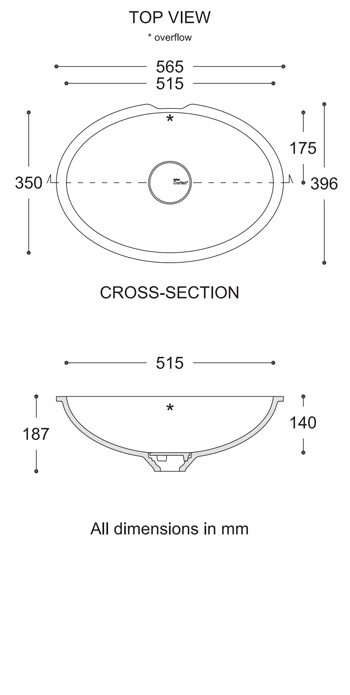 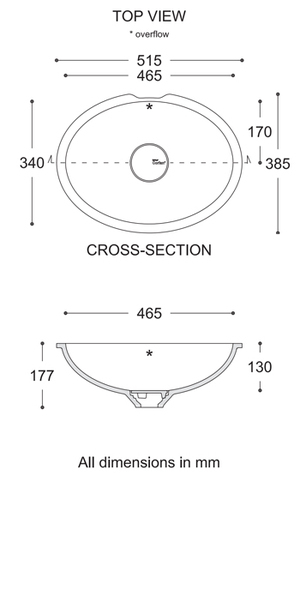 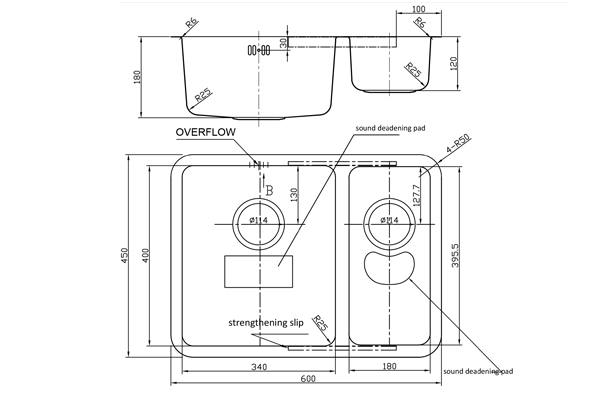 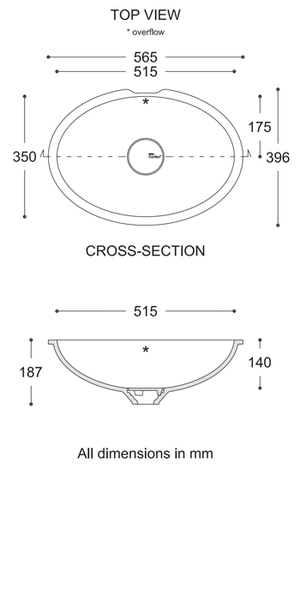 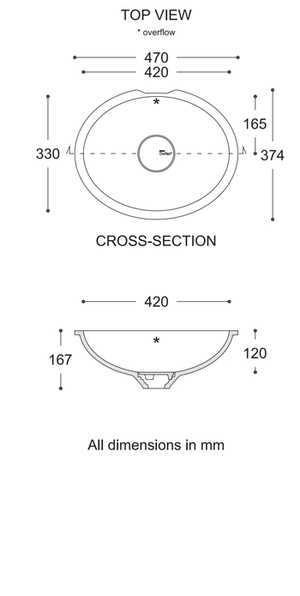 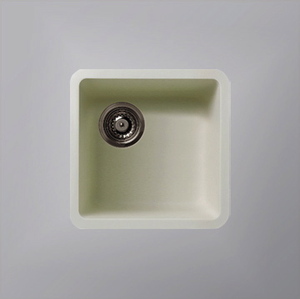 When space allows, discerning designers choose Corian® Smooth Double kitchen sinks. 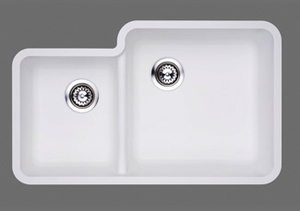 Elegant, extravagant, and available in a range of timeless colours, Corian® Smooth Double kitchen sinks combine durability with beauty — in a big way. 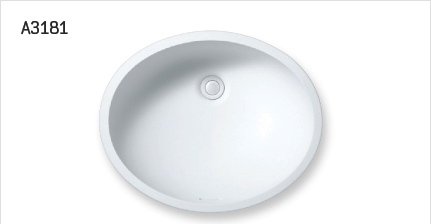 Available in Designer white, Glacier white, and Cameo white. Can be seamlessly 'undermounted' in any of the recommended kitchen colours. 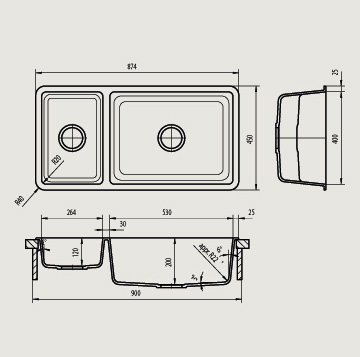 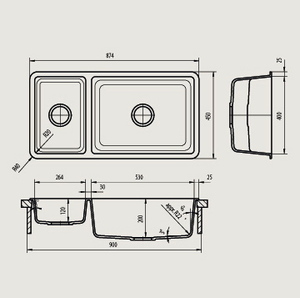 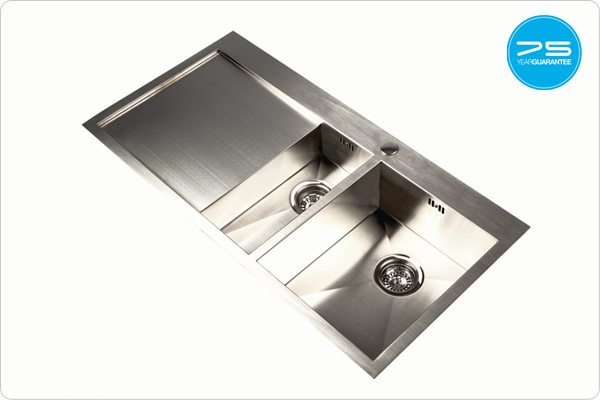 The sink is at the heart of every kitchen, both in terms of design and functionality. 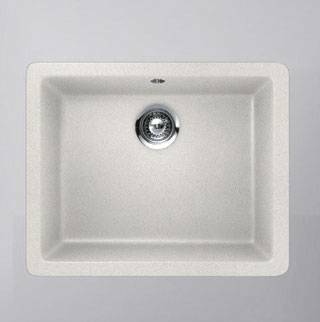 Our superb Sparkling Sink Collection combine DuPont(TM) Corian® with the highest quality stainless steel to offer endless possibilities for the modern kitchen. 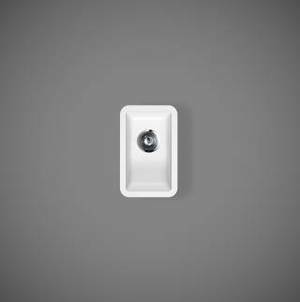 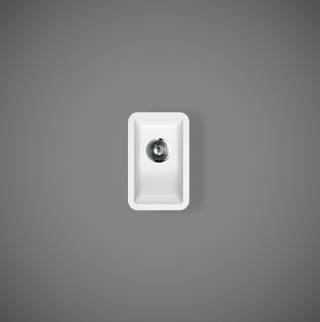 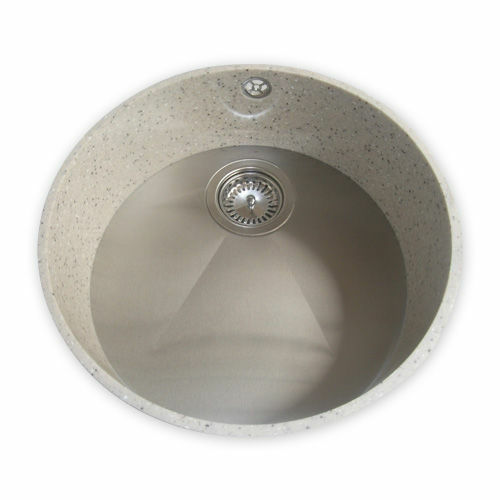 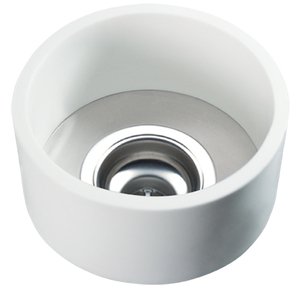 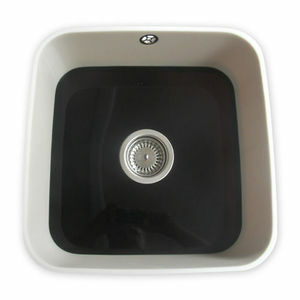 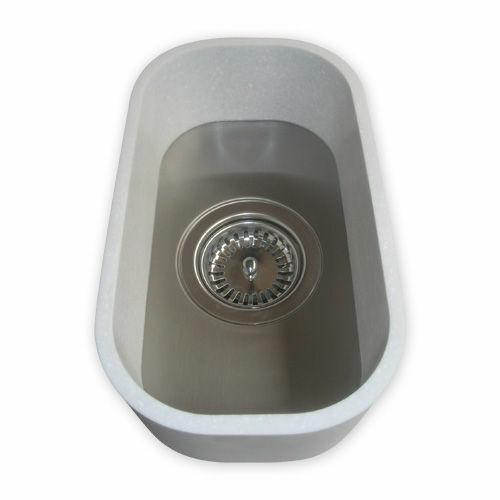 The Sparkling Sink Collection are hygienic and easy to clean. 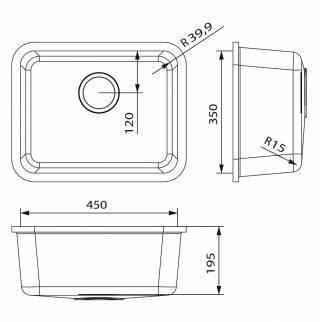 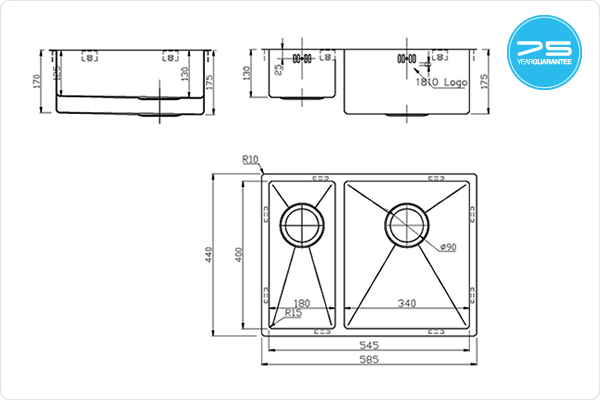 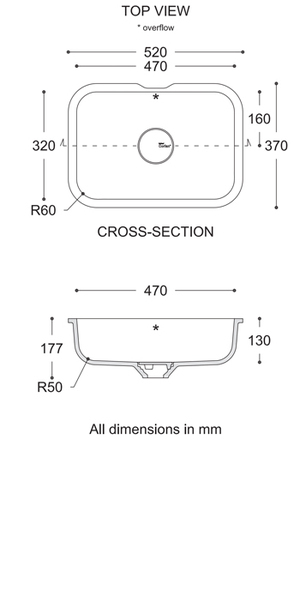 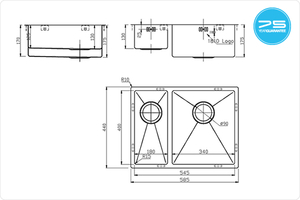 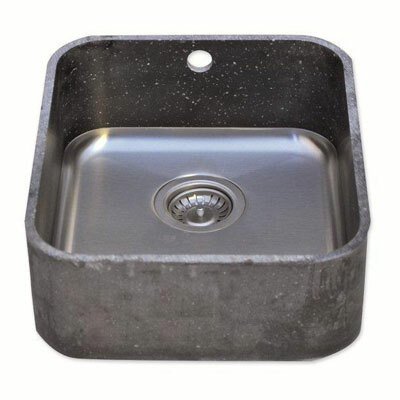 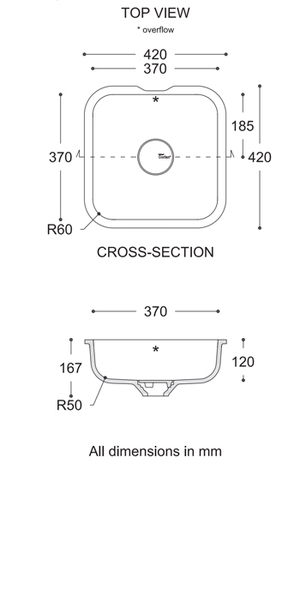 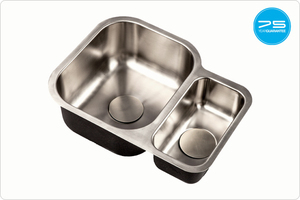 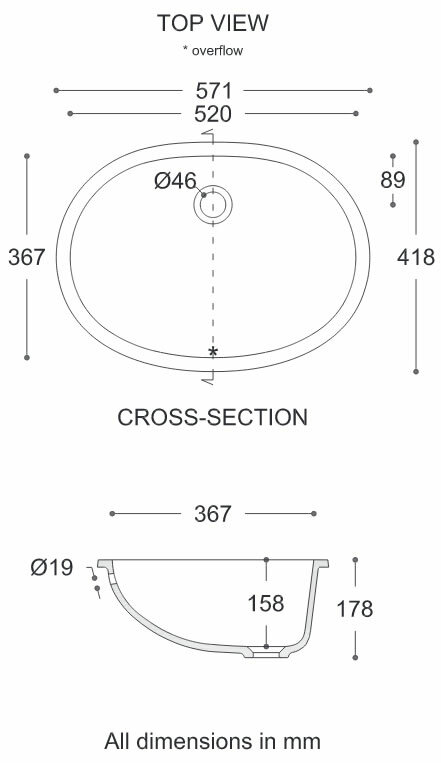 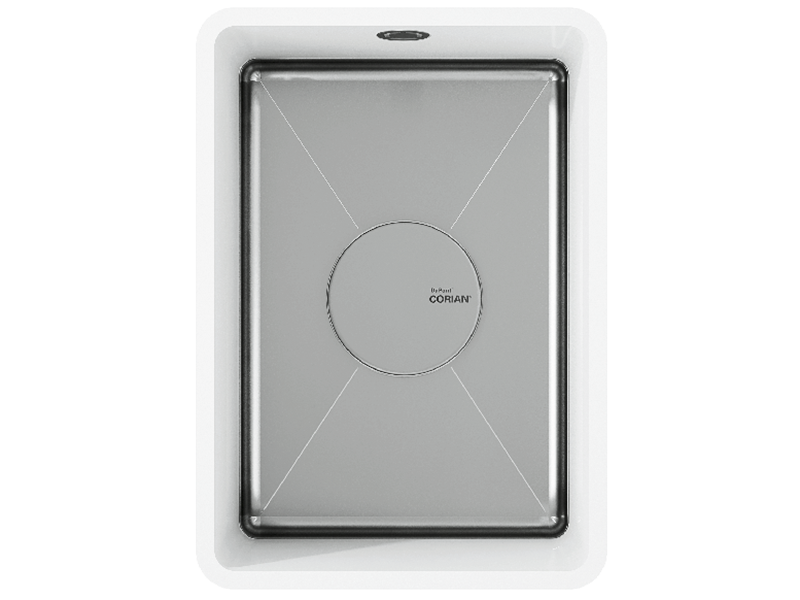 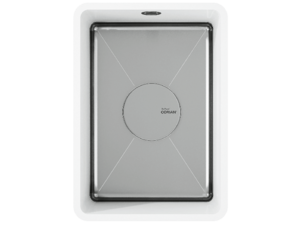 The stainless steel base easily withstands boiling liquid and hot pots and pans. 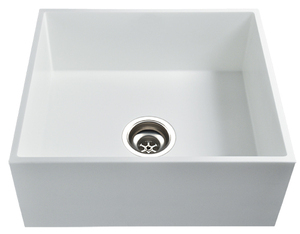 Because the Sparking Sink Collection are available in all the Corian® kitchen colours, the sink can be integrated into a matching Corian® worktop for the ultimate in contemporary kitchen style. 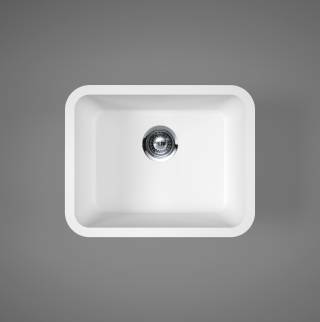 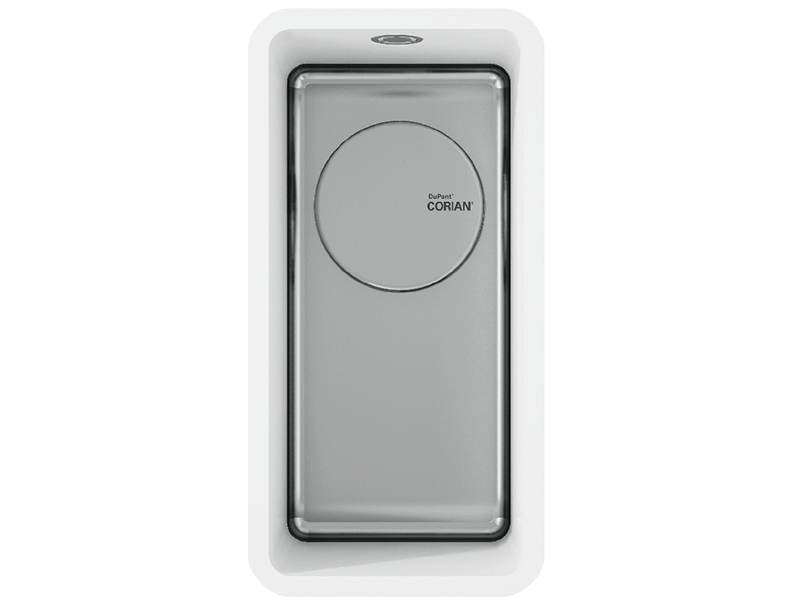 The Sparkling Sink Collection is available in all the colours of Corian® for kitchen worksurfaces. For sinks made with colours from the Earth Heritage collection, seams inside the sink might be visible due to the aesthetic random texture. 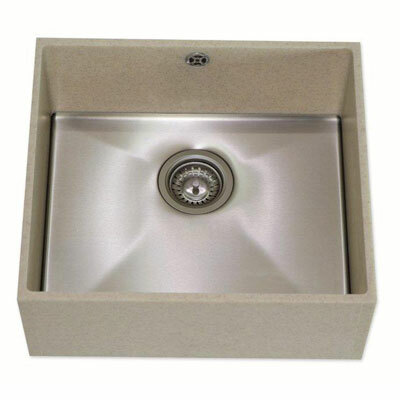 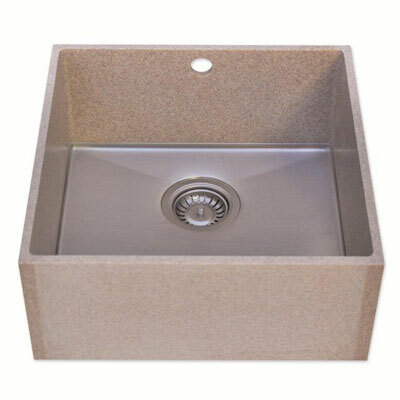 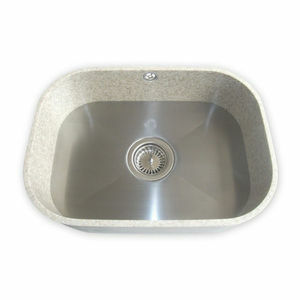 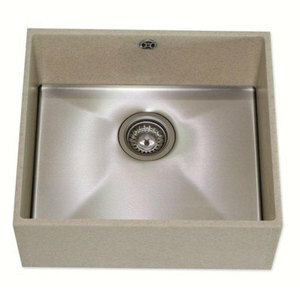 The Sparkling Sink collection is made to order, and as such have an extended lead time of 3 to 4 weeks from order. 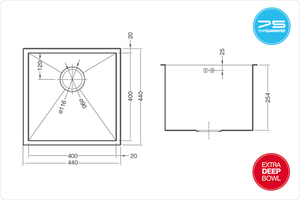 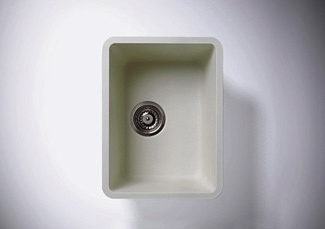 Discerning designers choose Corian® Sweet Cast kitchen sinks. 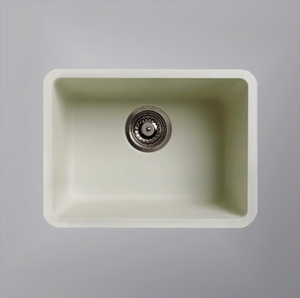 Elegant with high performance, and available in a range of timeless colours, Corian® Sweet kitchen sinks combine durability with beauty — in a big way. 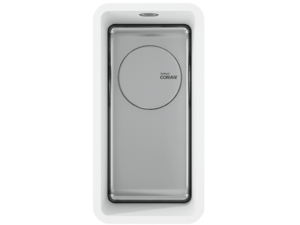 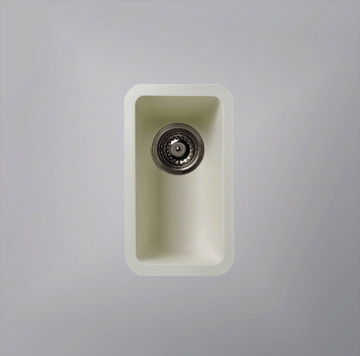 Washbasins made with DuPont™ Corian® solid surface are a valuable addition to bathroom design, capable of meeting the demands of your imagination. 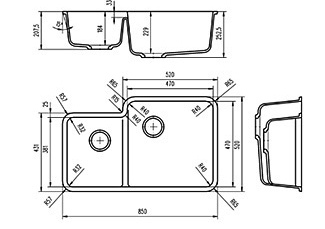 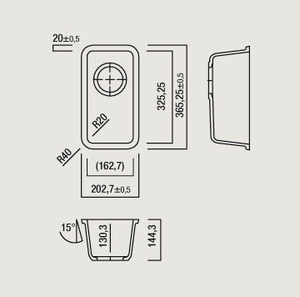 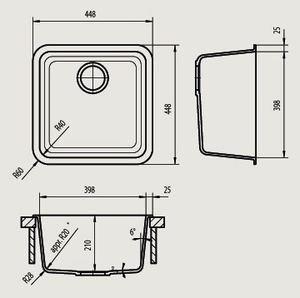 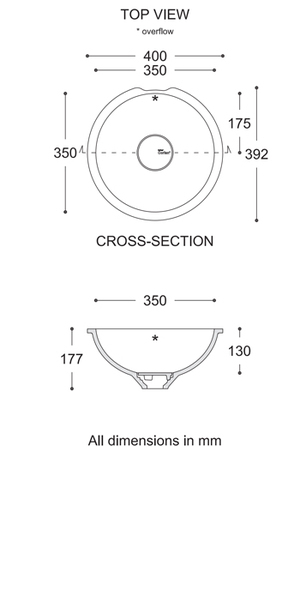 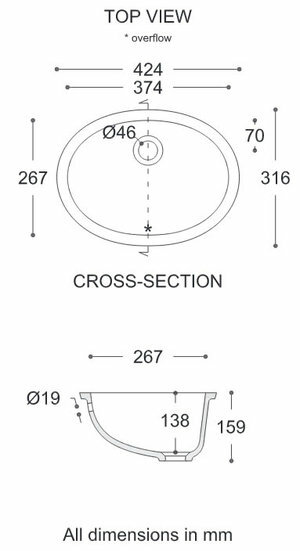 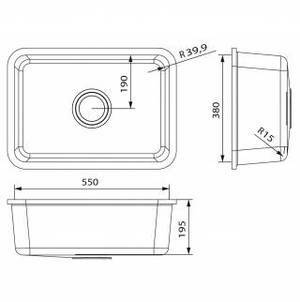 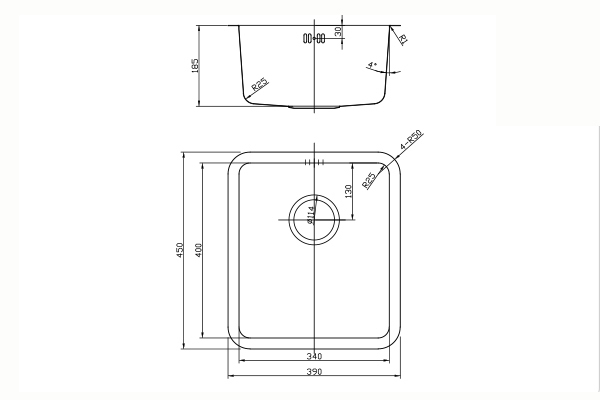 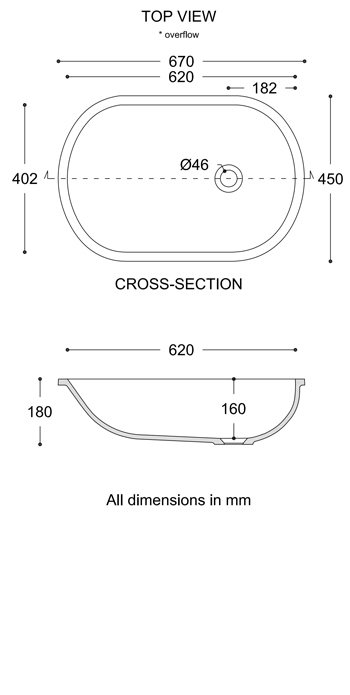 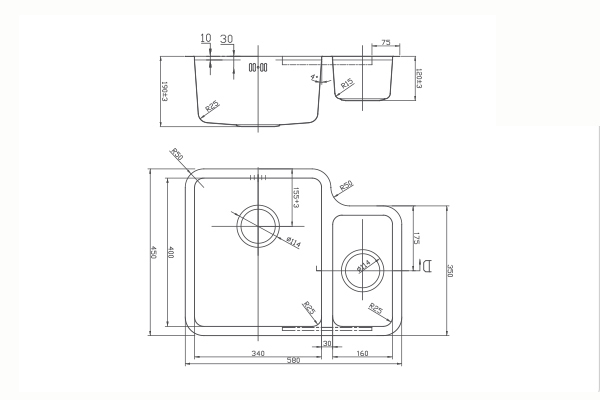 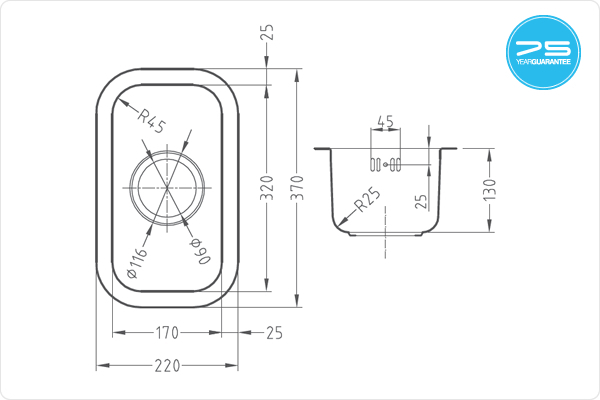 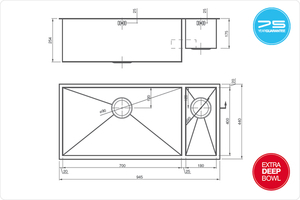 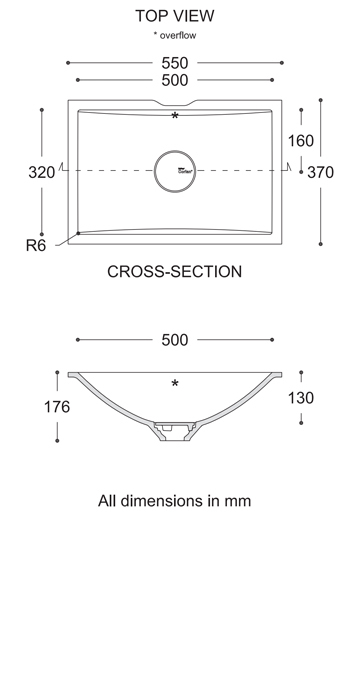 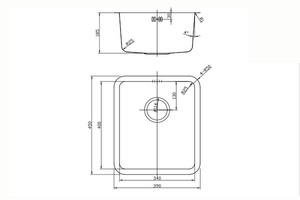 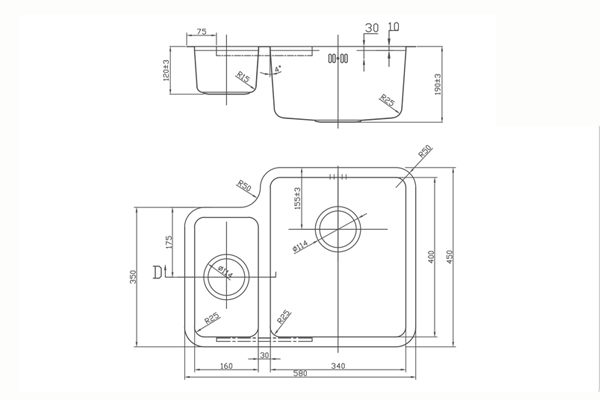 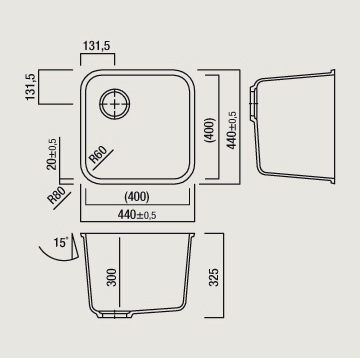 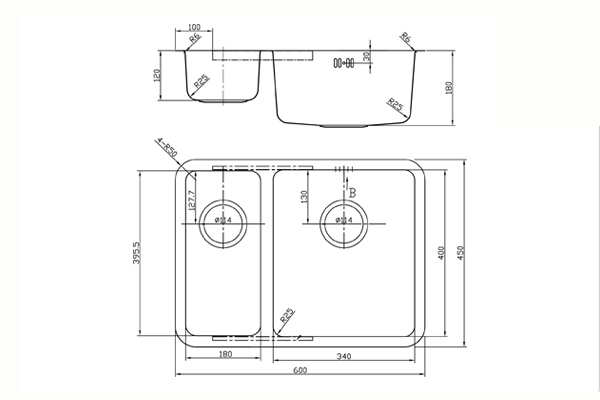 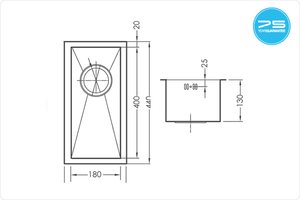 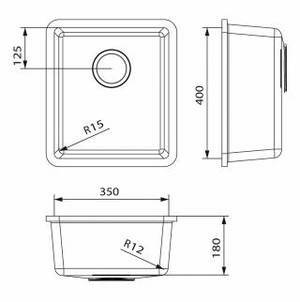 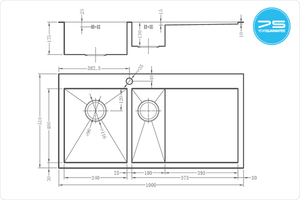 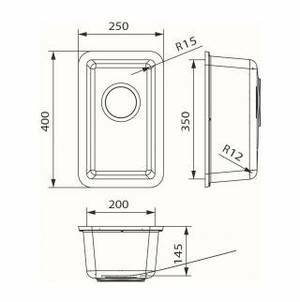 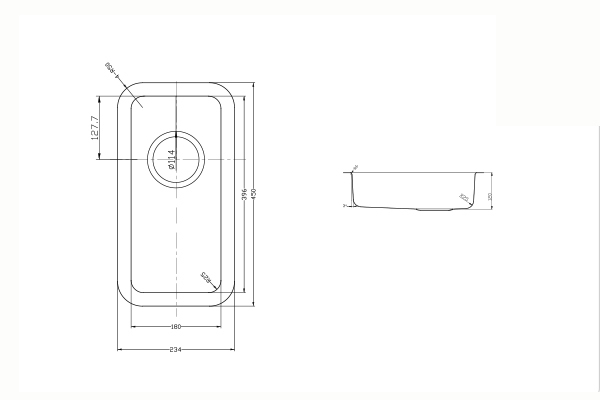 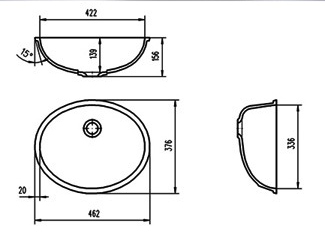 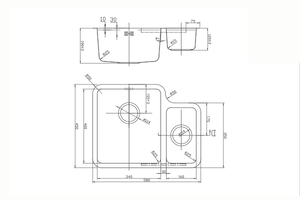 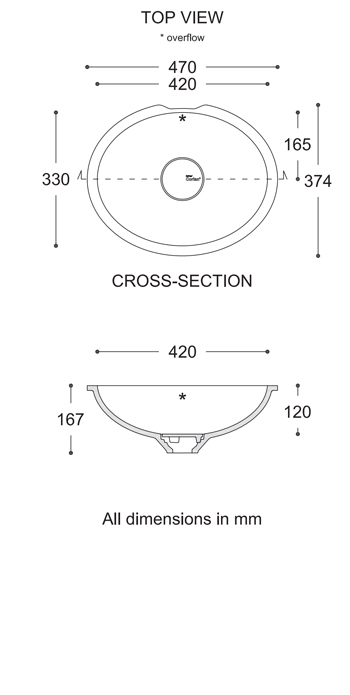 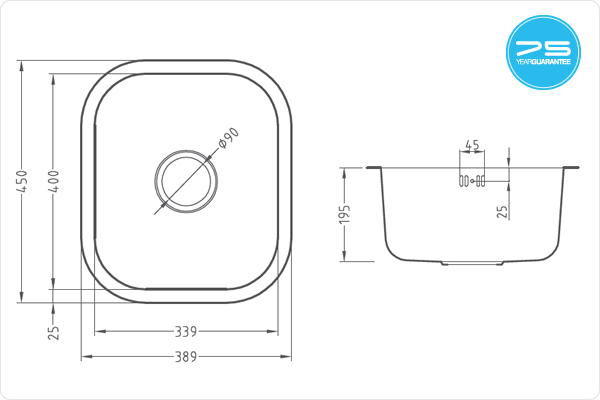 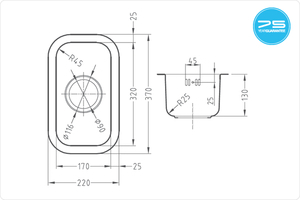 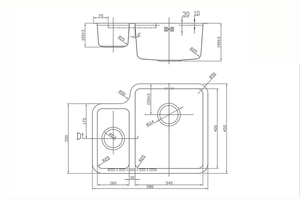 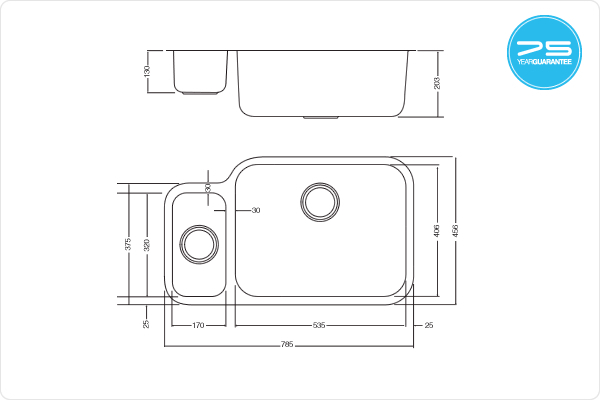 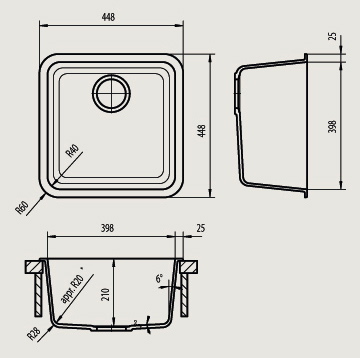 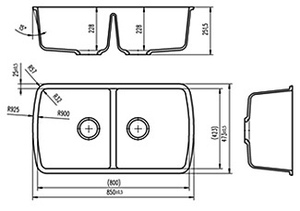 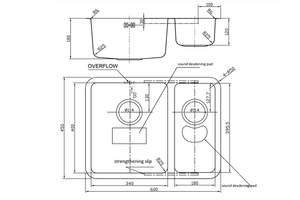 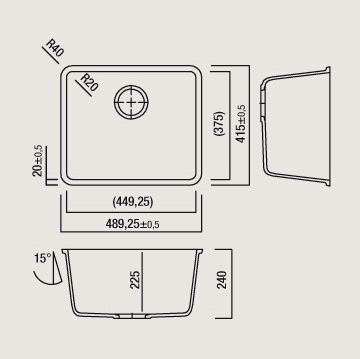 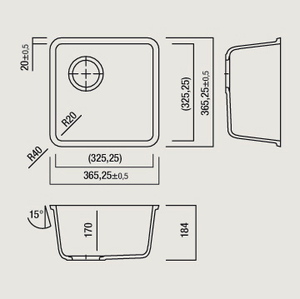 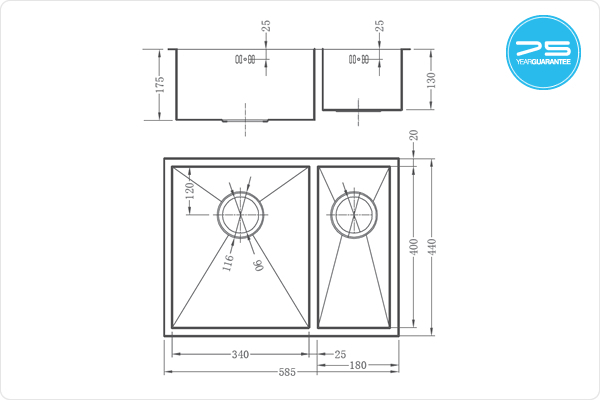 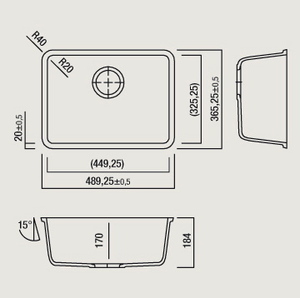 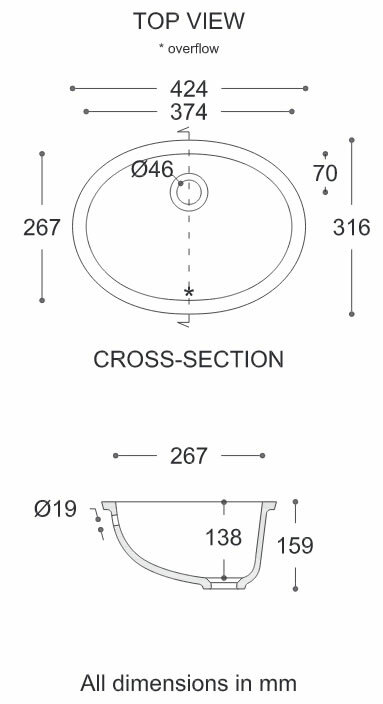 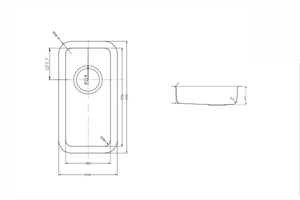 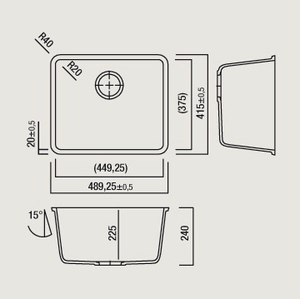 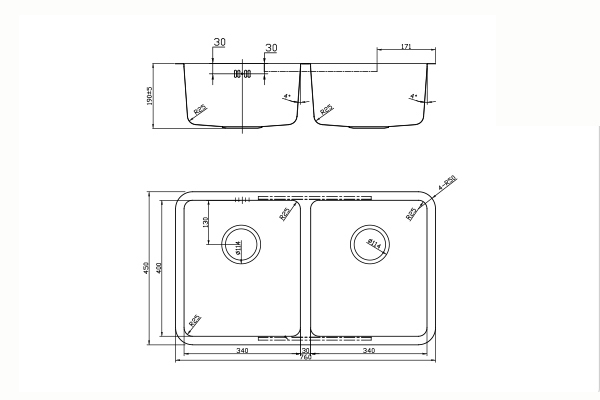 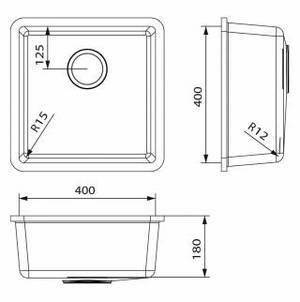 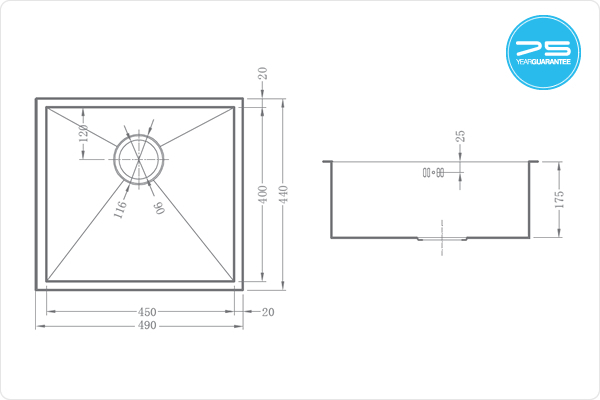 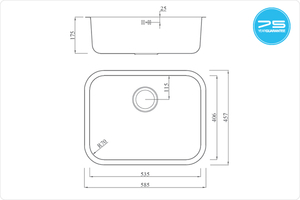 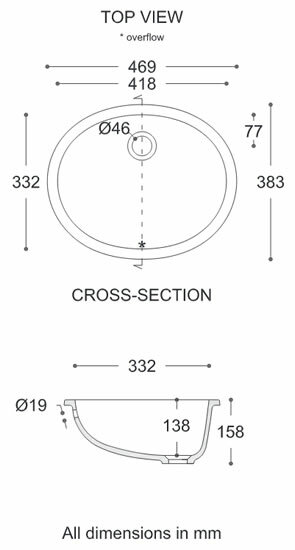 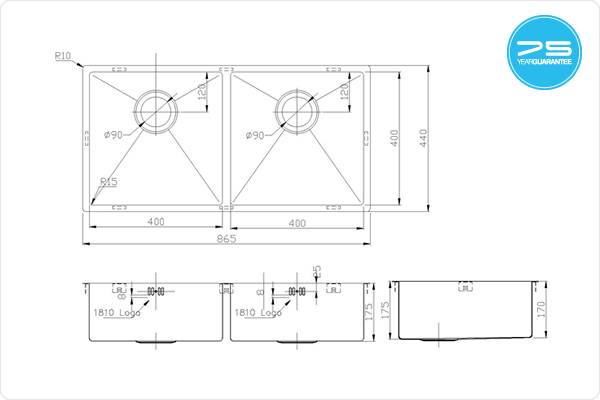 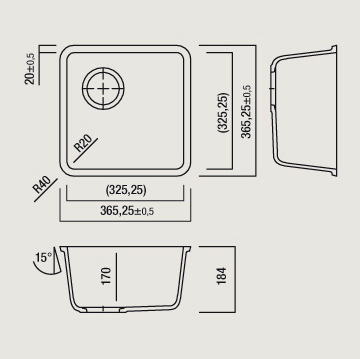 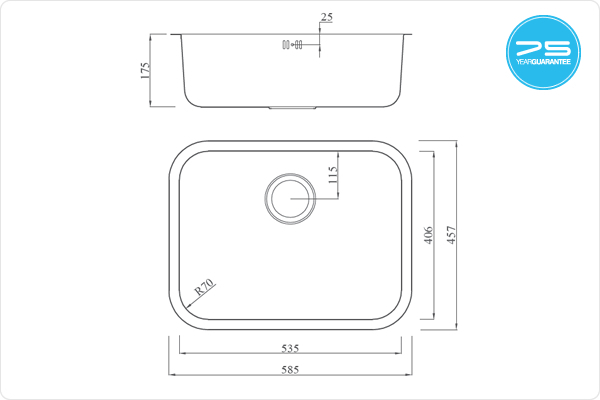 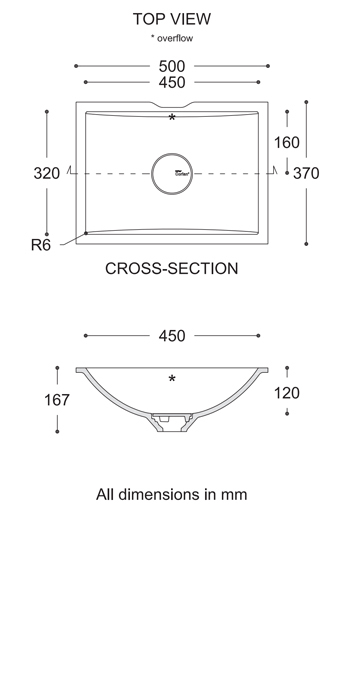 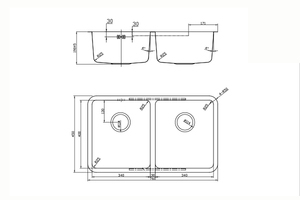 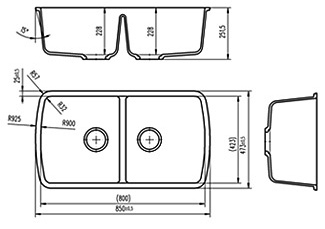 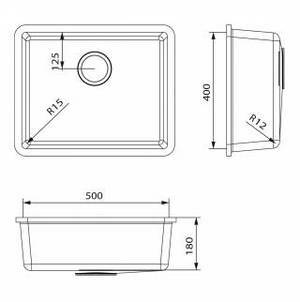 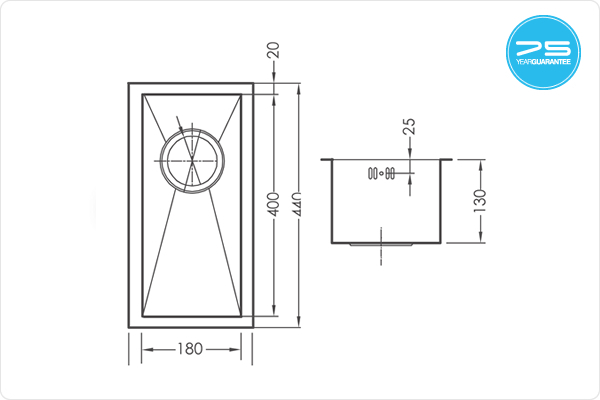 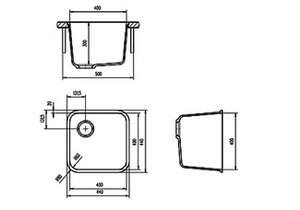 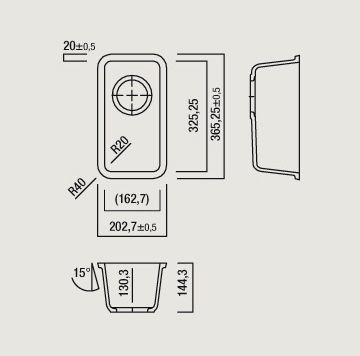 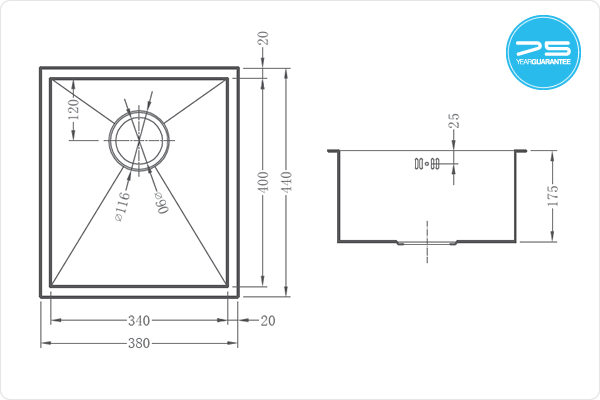 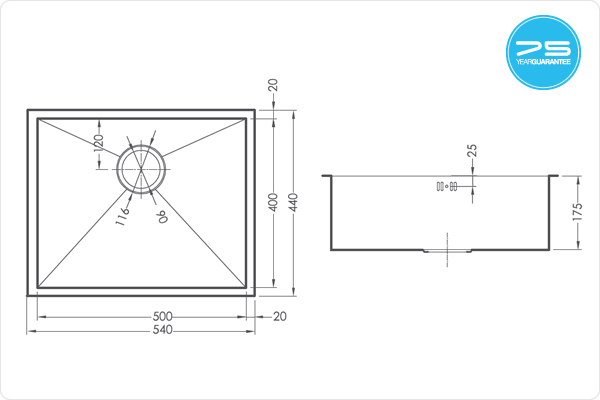 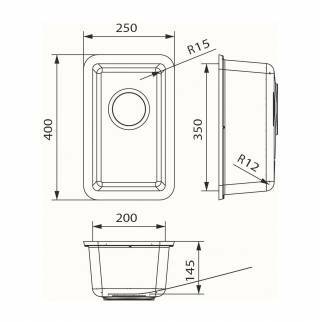 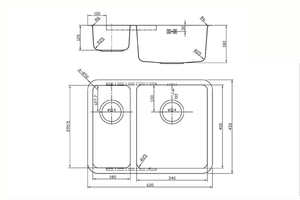 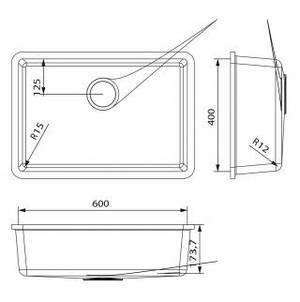 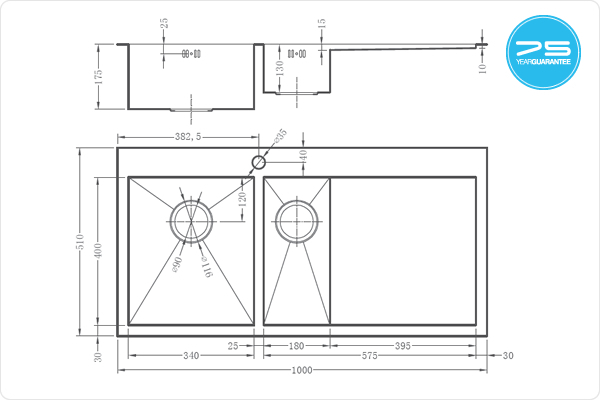 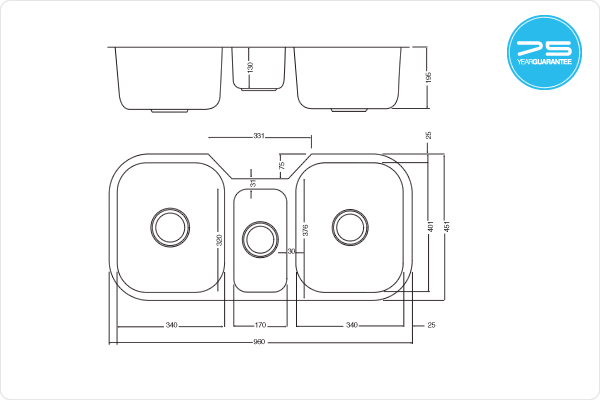 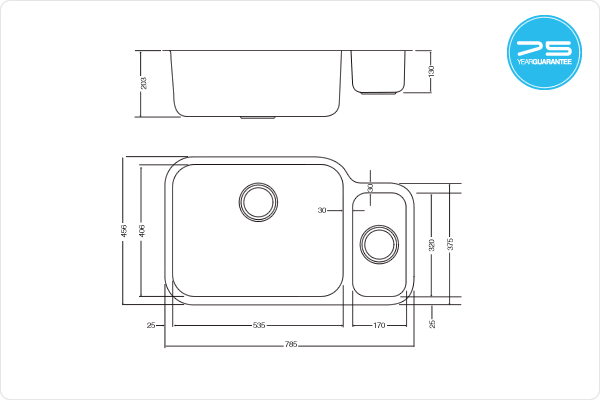 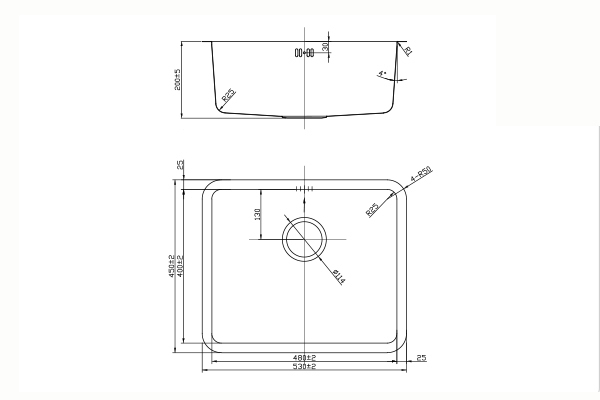 In addition to creating your own original basin designs and integrated vanity units, you can choose from our extensive array of prefabricated shapes and sizes. 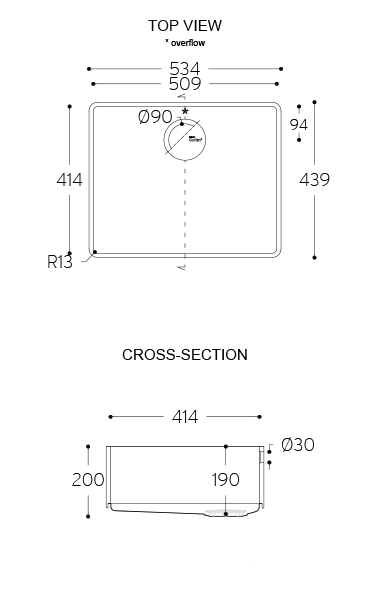 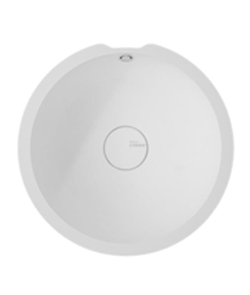 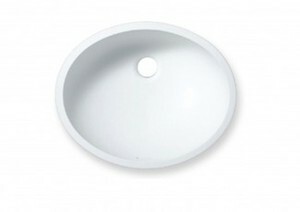 Available in the following colours: Glacier white, Designer white, and Cameo white. 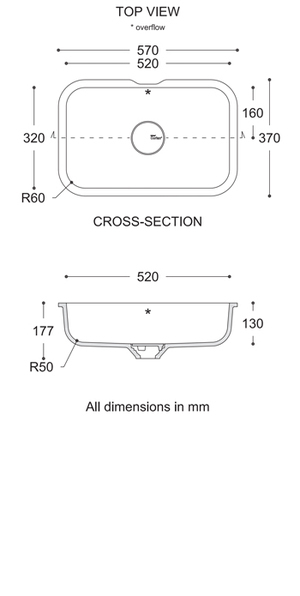 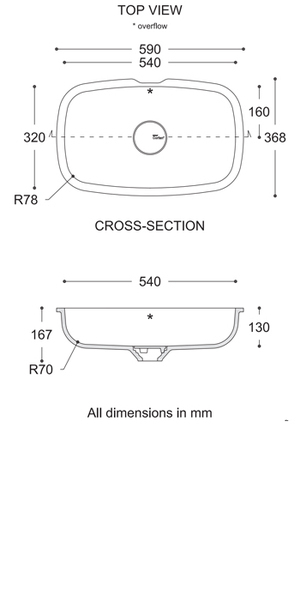 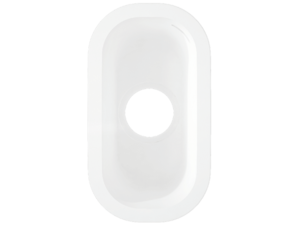 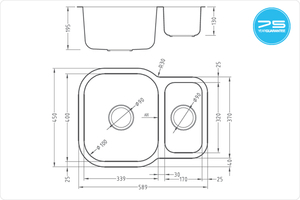 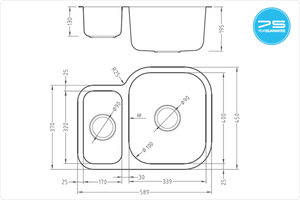 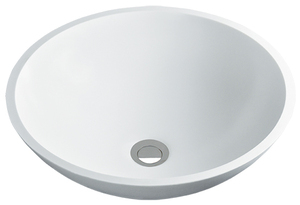  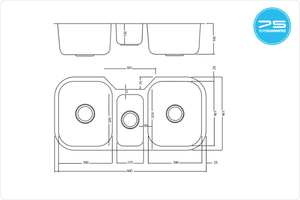 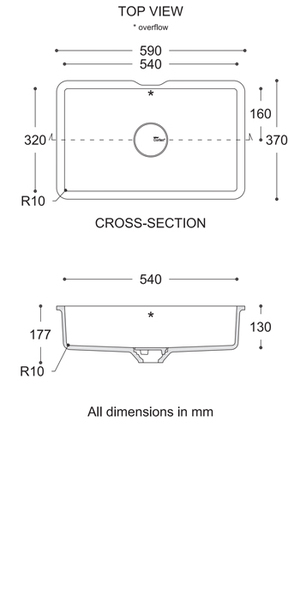 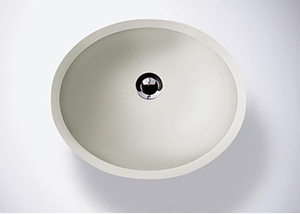 The Purity range of vanity basins are available in Glacier White and Designer White. 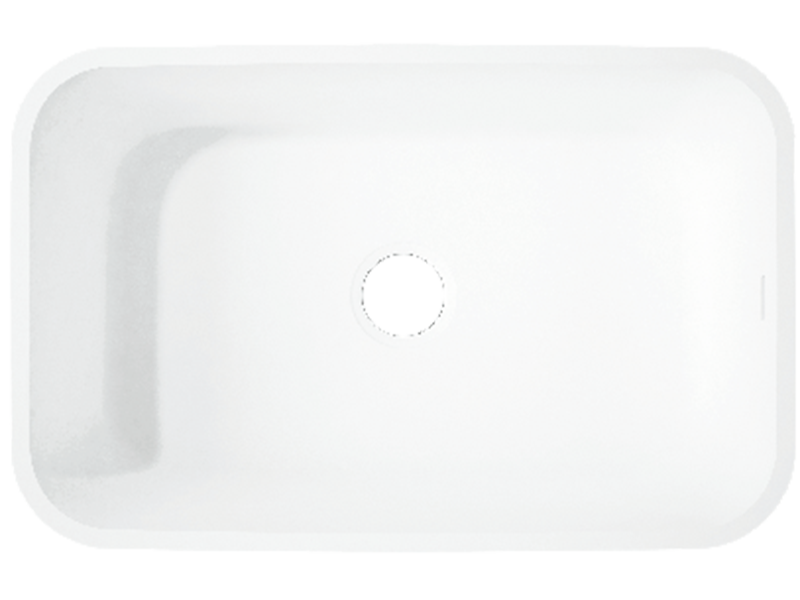 The Relax range of vanity basins are available in Glacier White and Designer White. 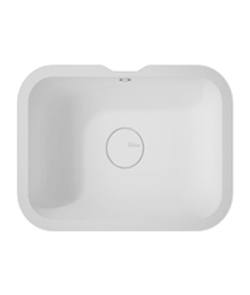 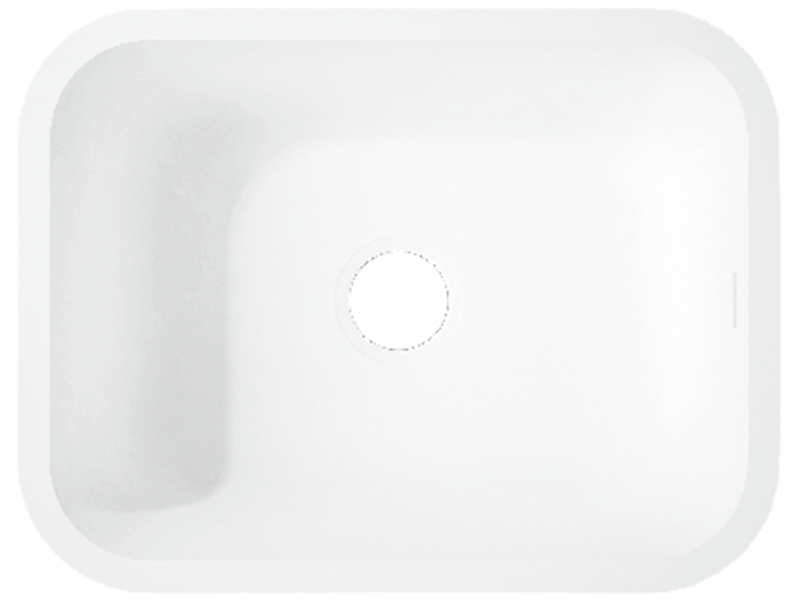 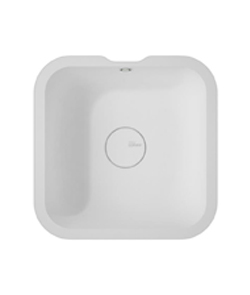 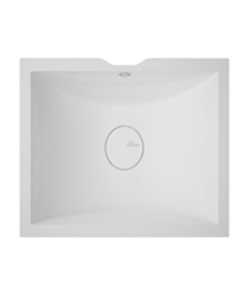 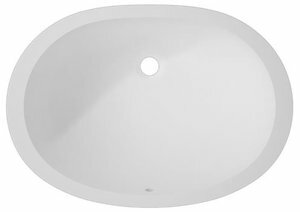 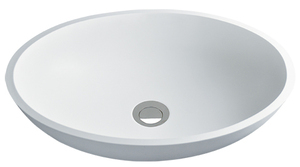 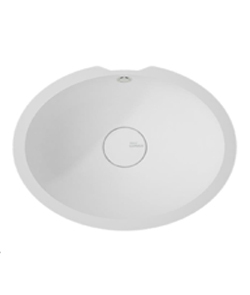 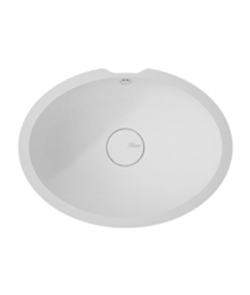 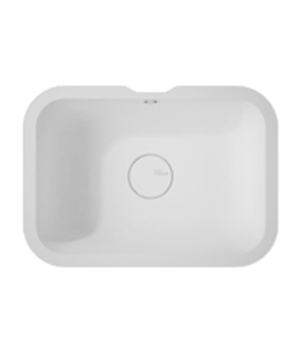 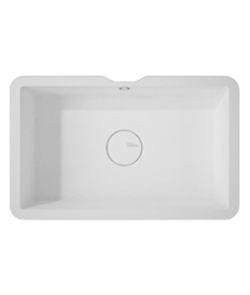 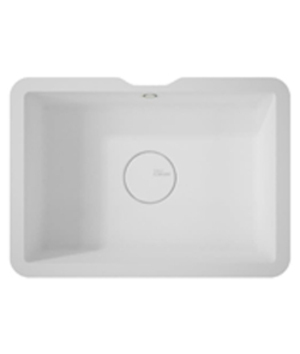 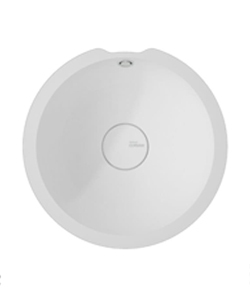 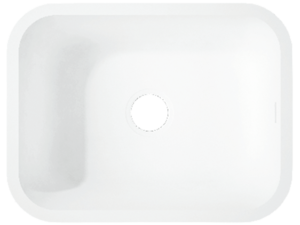 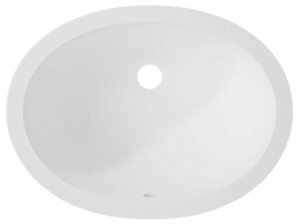 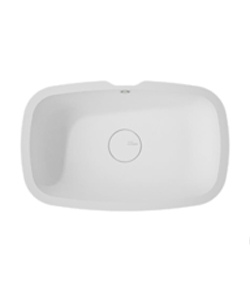 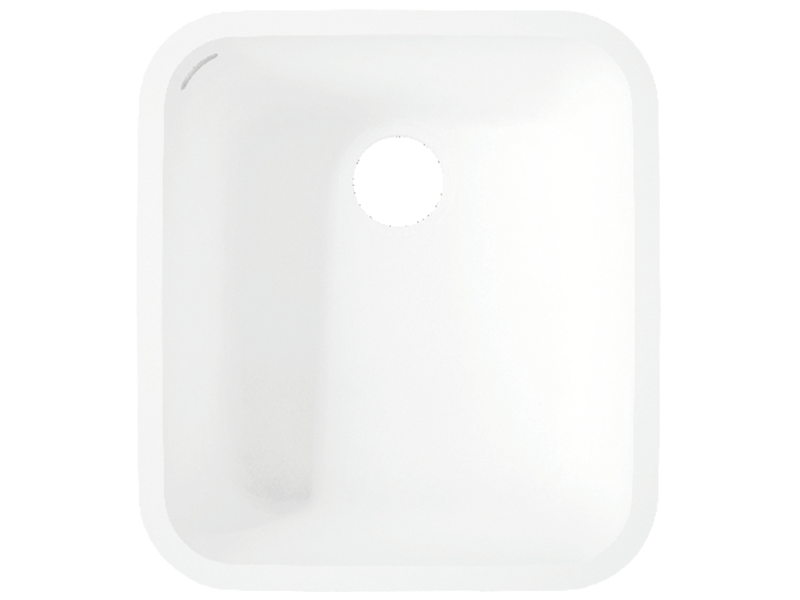 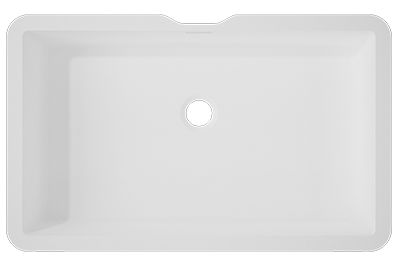 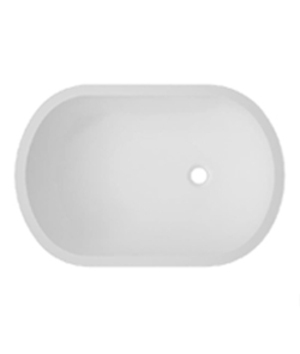 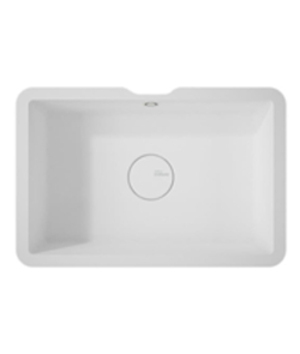 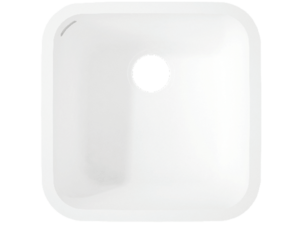 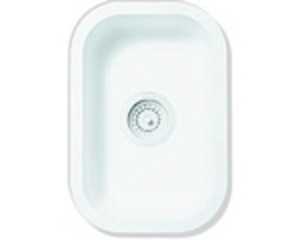 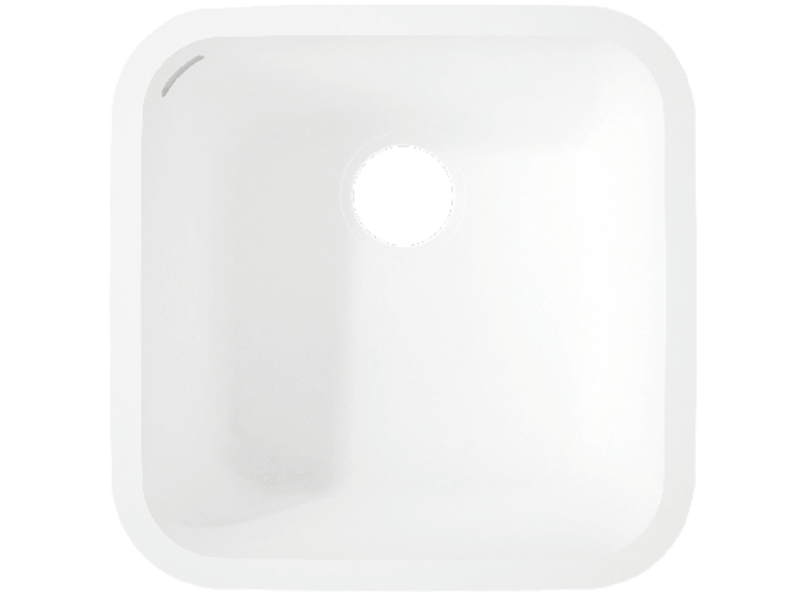  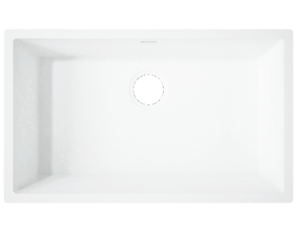 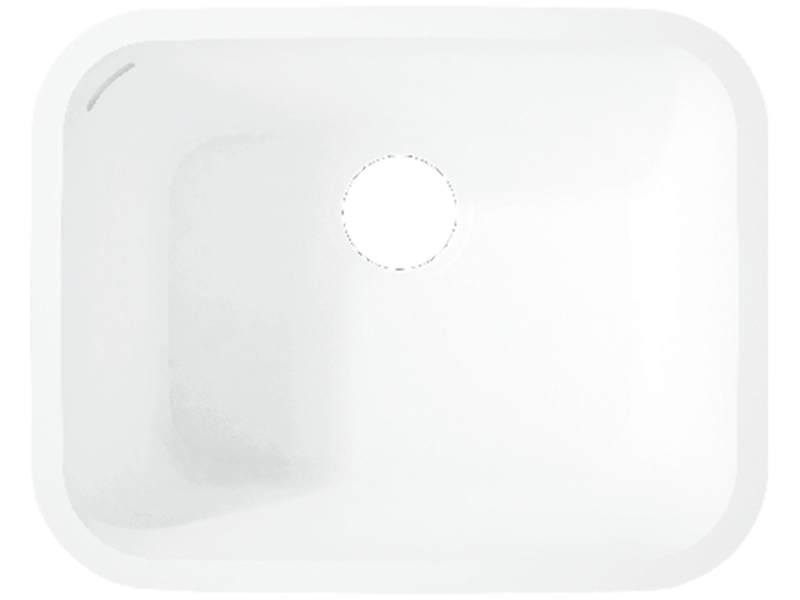 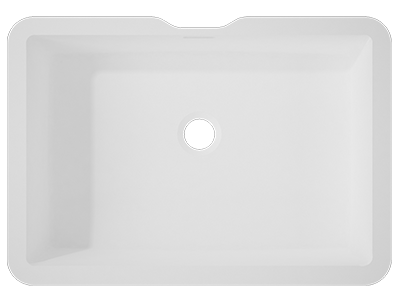 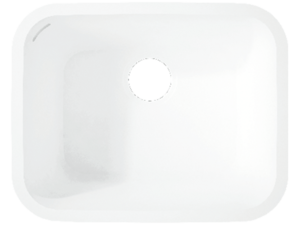 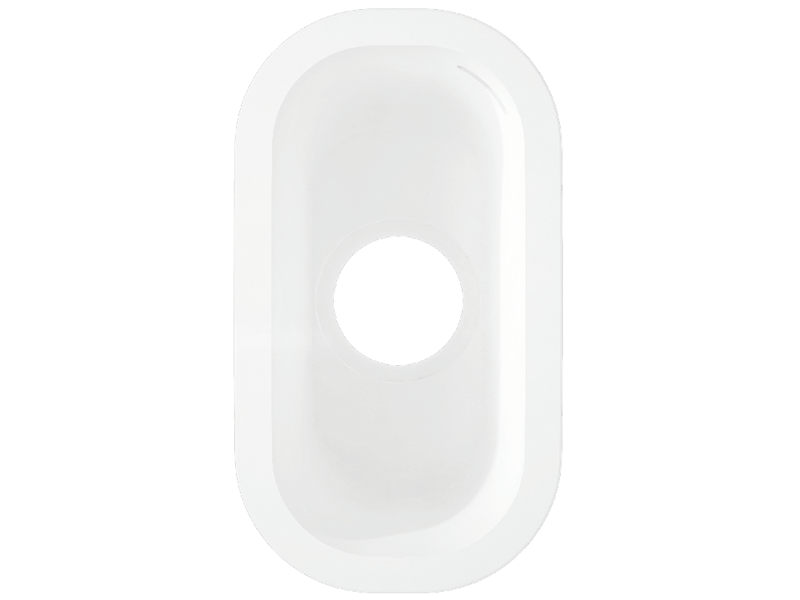 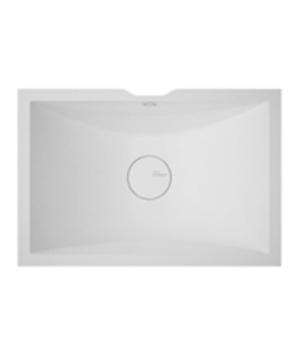 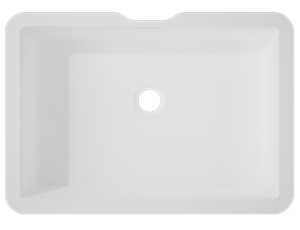 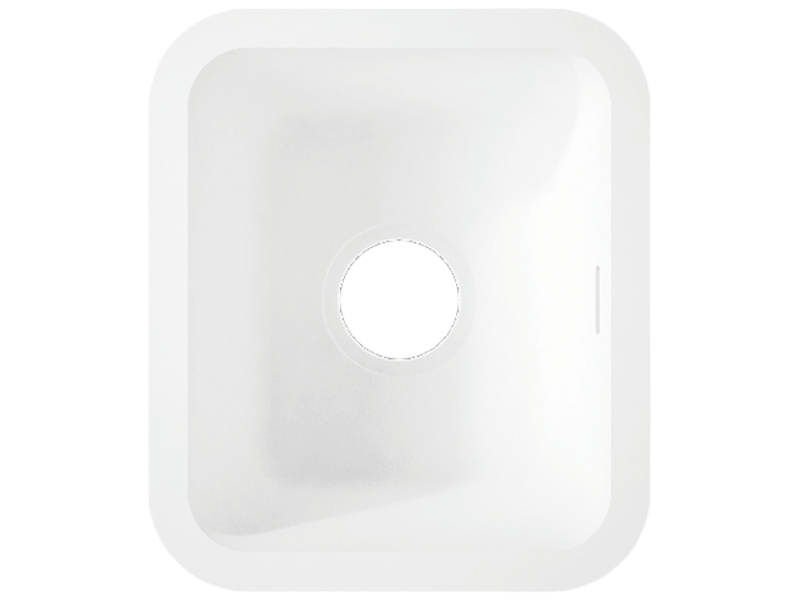 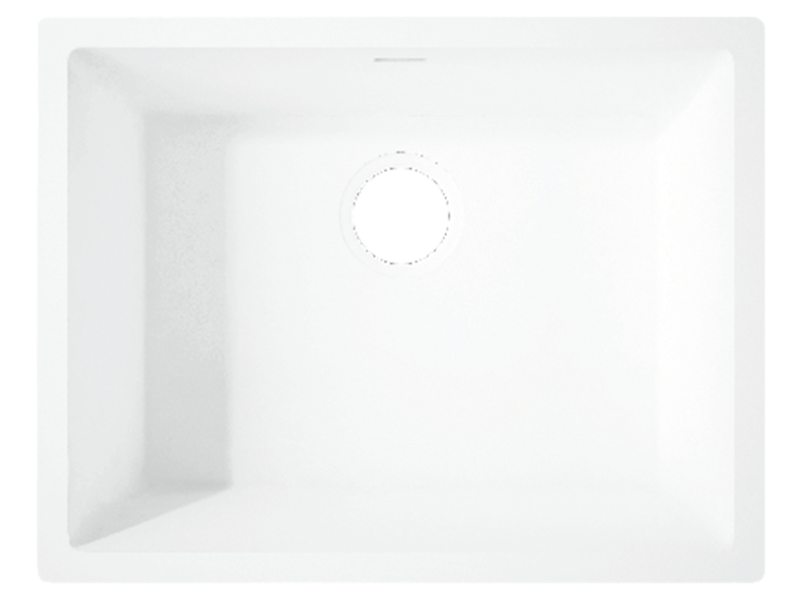 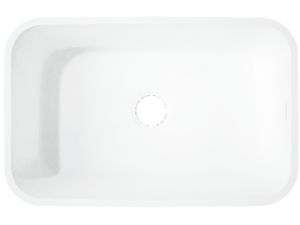 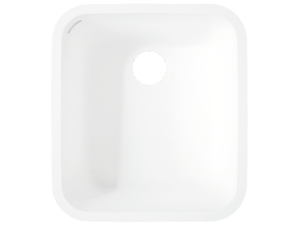 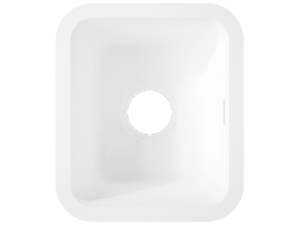 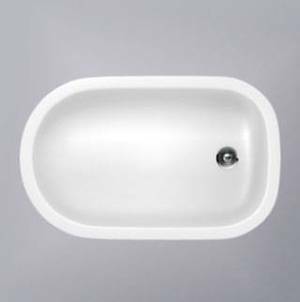 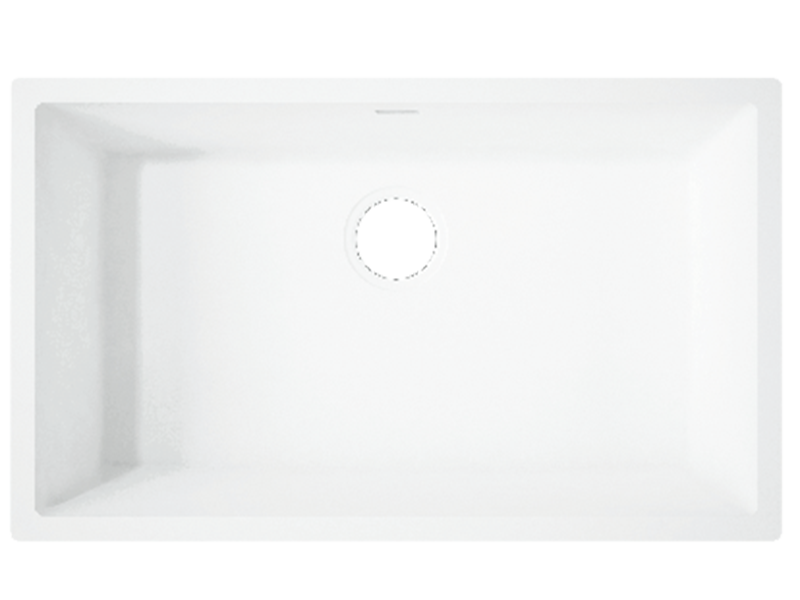 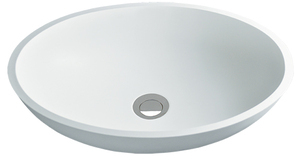 The Relax range of vanity basins are only available in Glacier White colour. 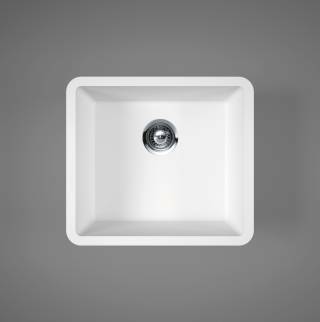 Available in Glacier White and Designer White. 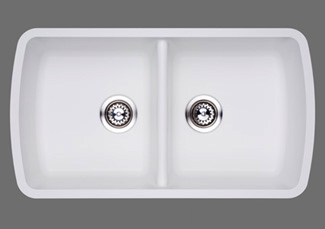 The key benefits of Hi-MACS integrated sink or bowl are the seamless and waterproof join between the kitchen worktop or bathroom vanity top negating the need for sealant, and stain-proof easy maintenance. Available in Alpine white only. 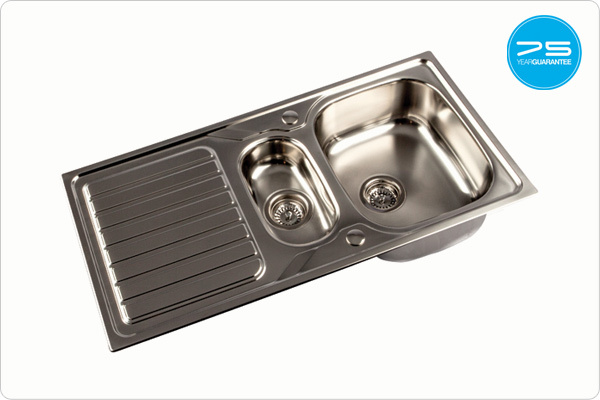 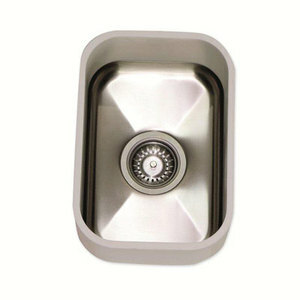 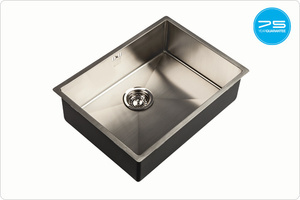 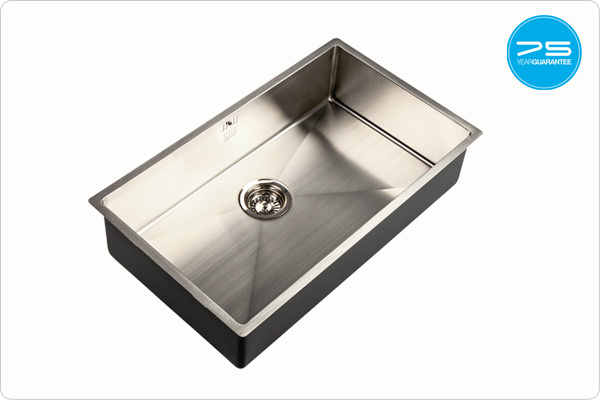 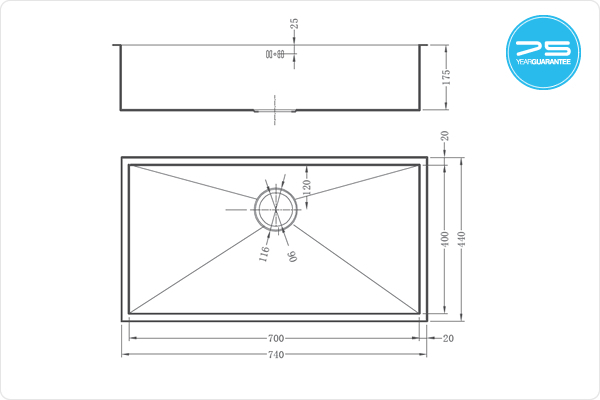 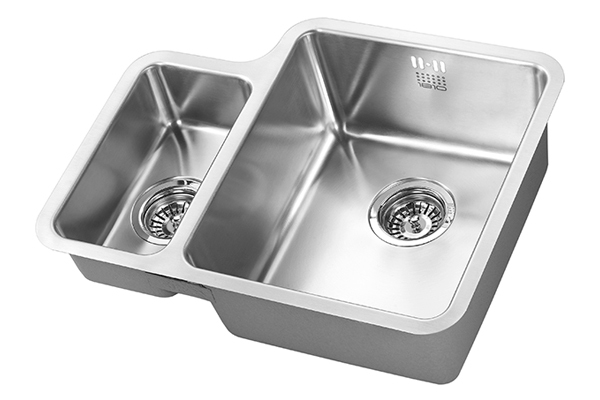 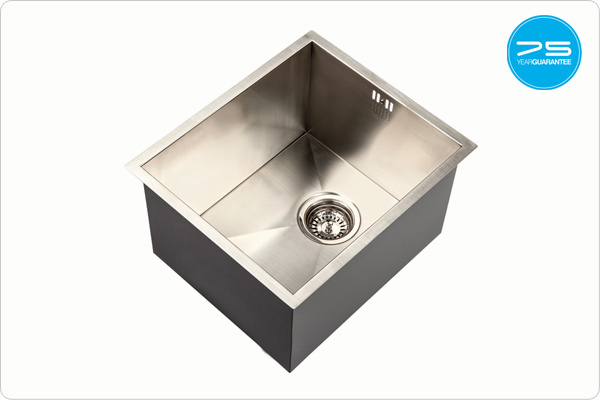 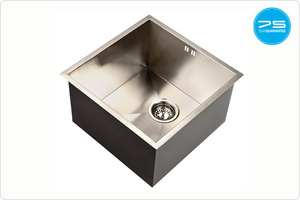 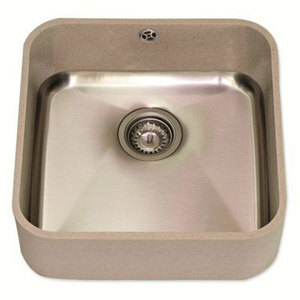 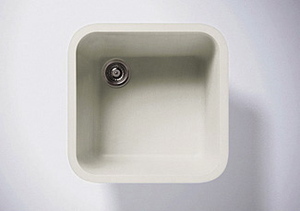 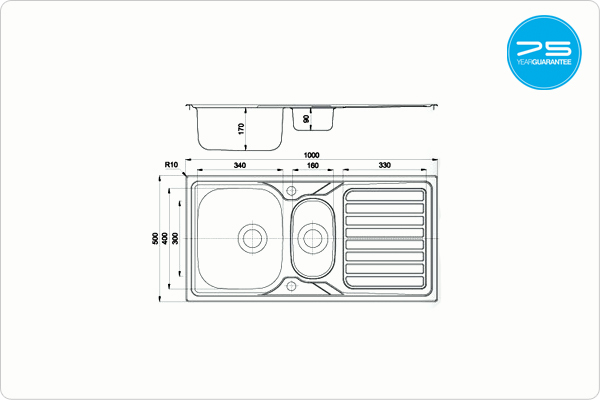 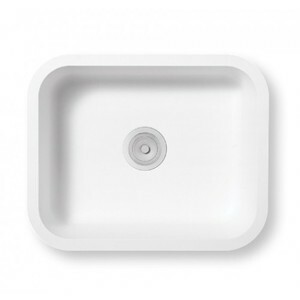 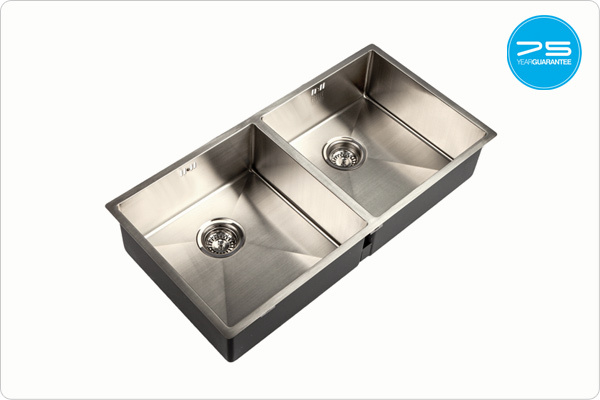 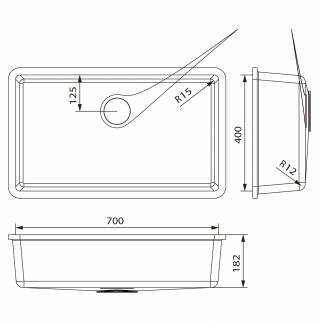 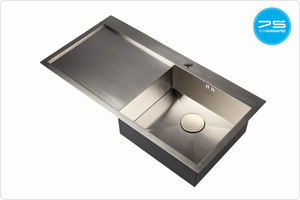 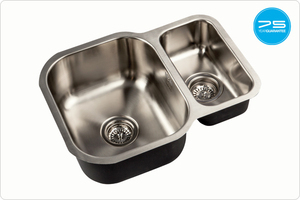 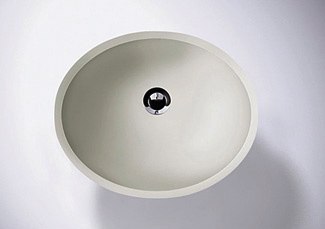 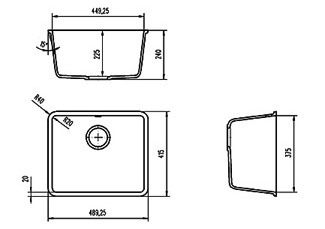 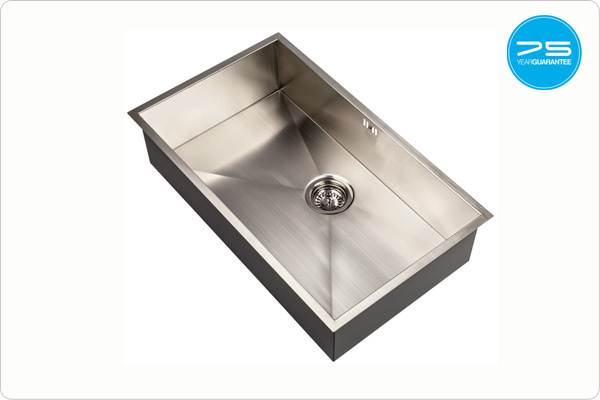 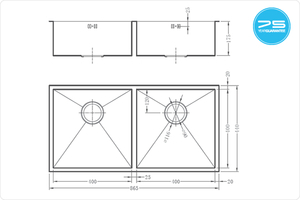 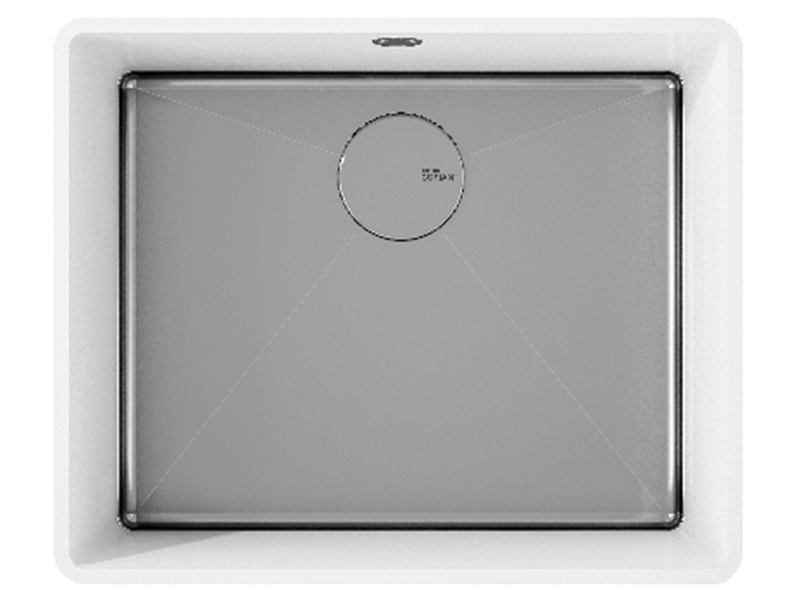 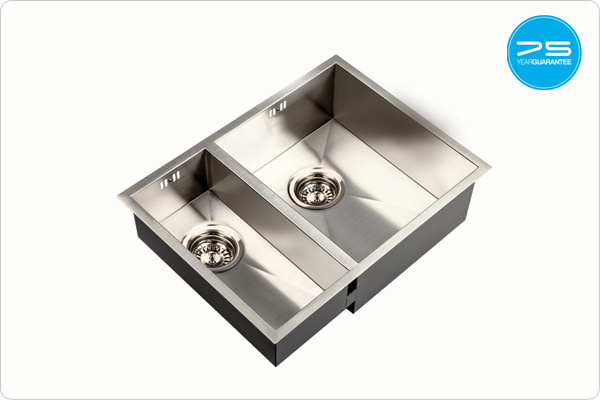 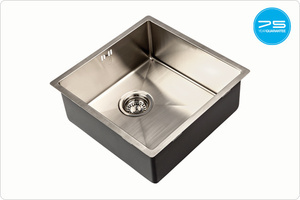 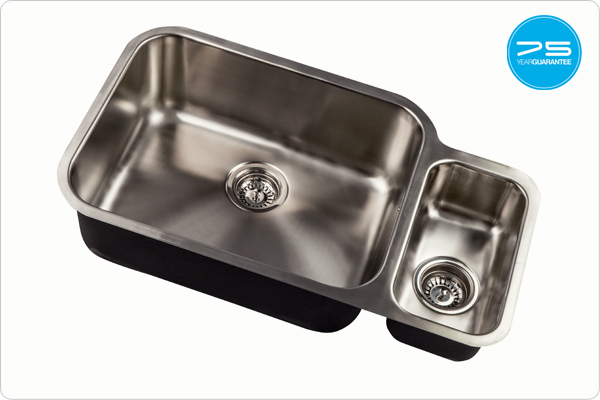 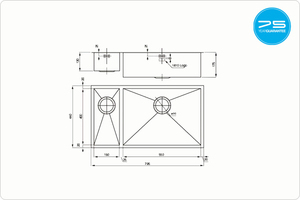 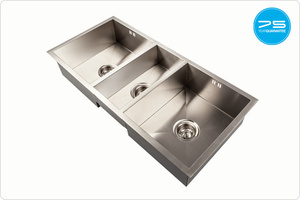 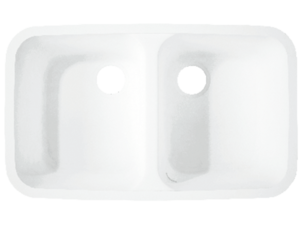 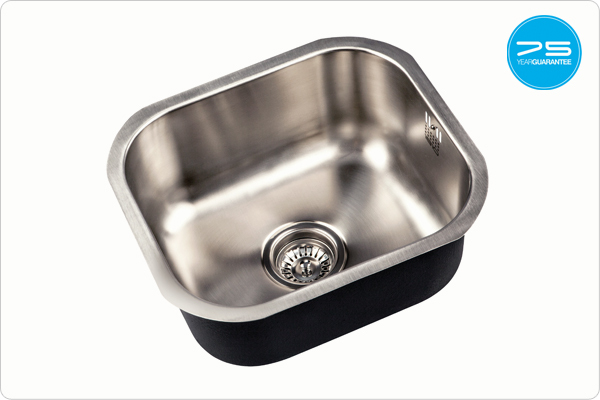 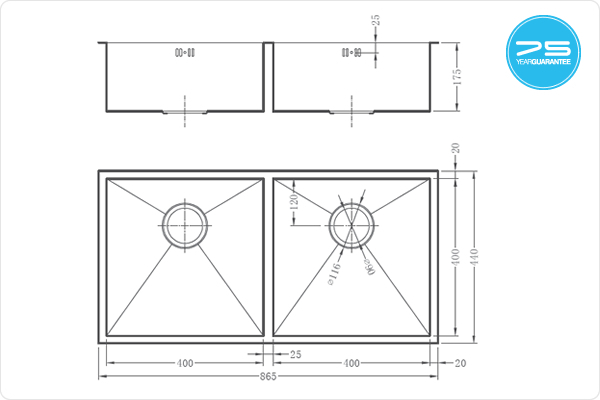 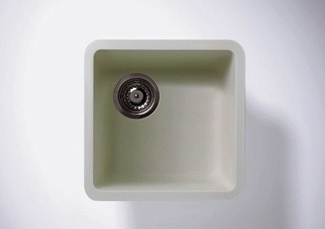 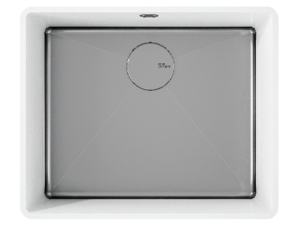 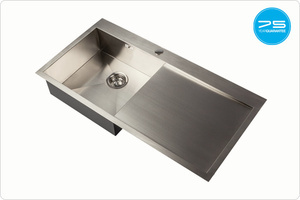 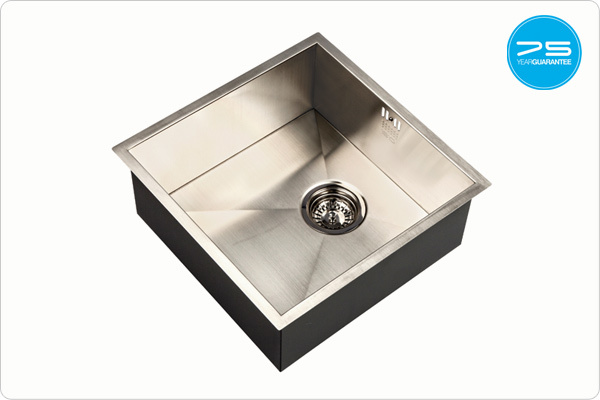 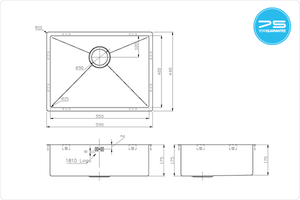 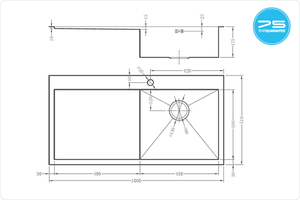 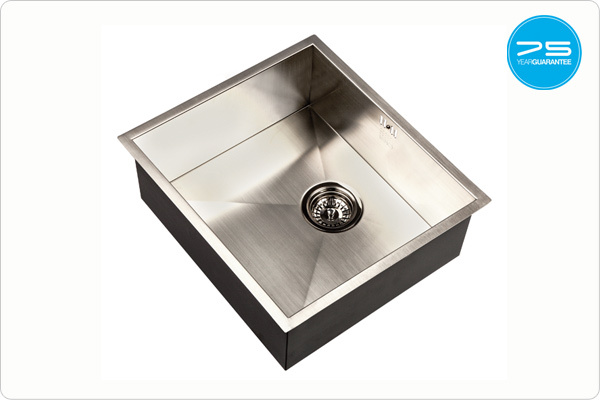 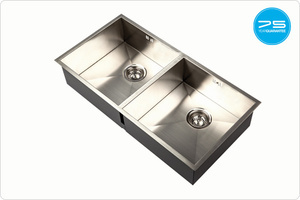 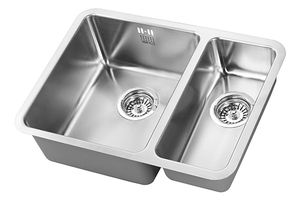 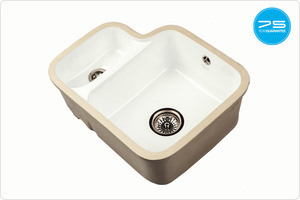 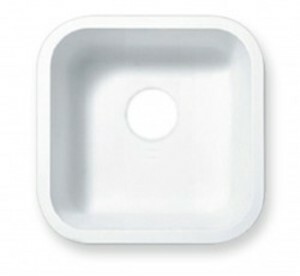 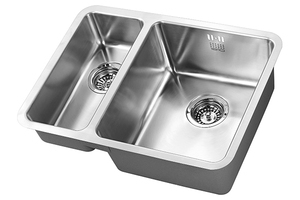 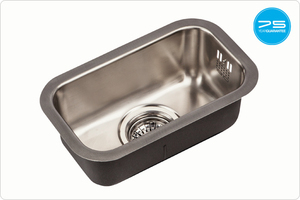 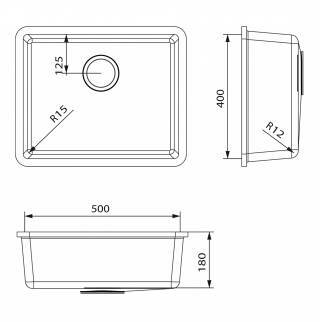 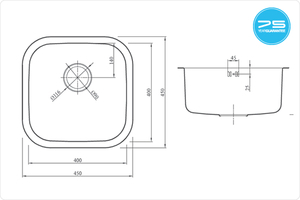 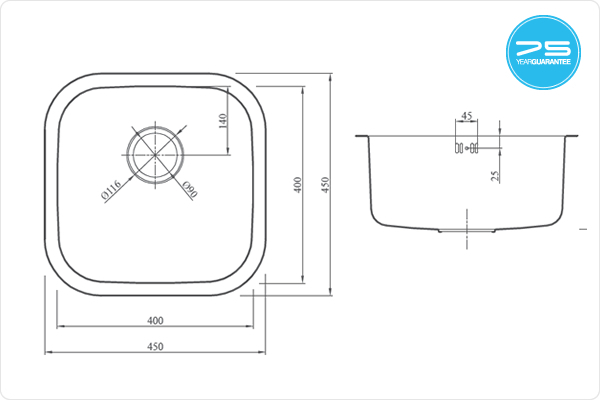 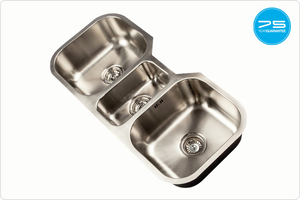 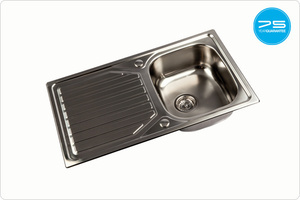 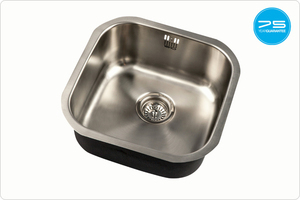 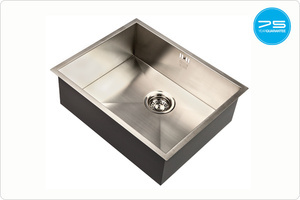 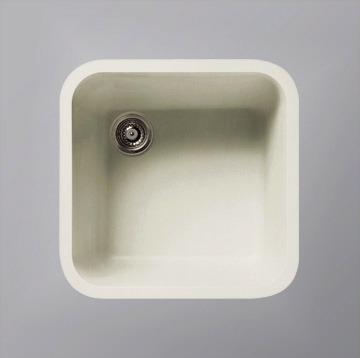 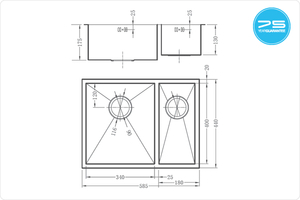 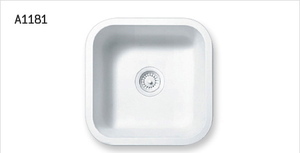 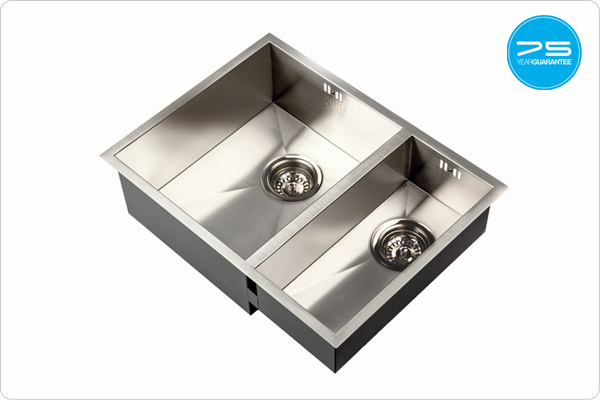 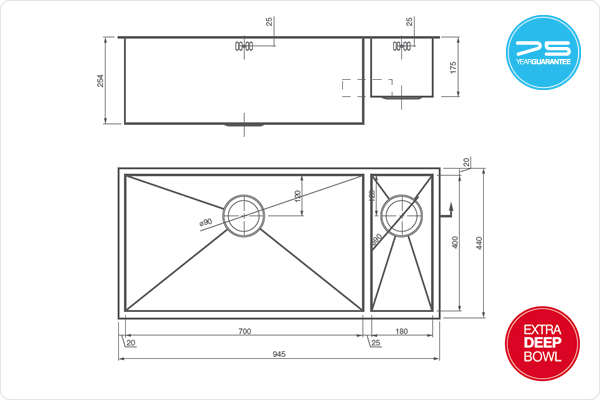 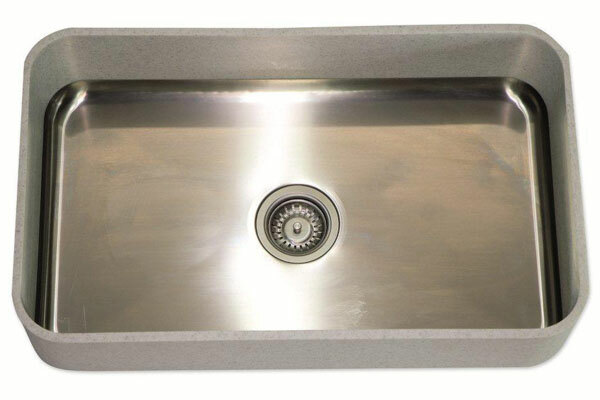 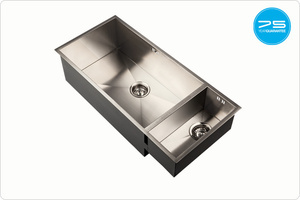 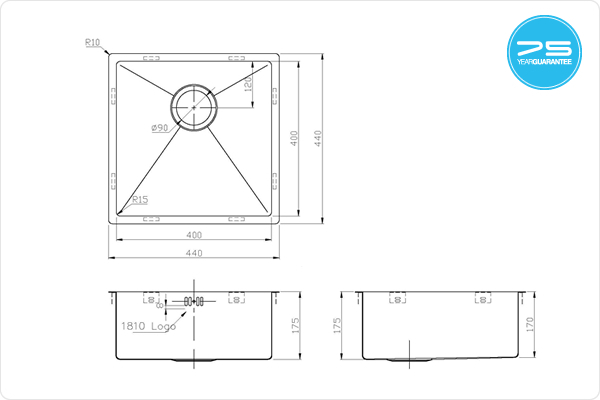 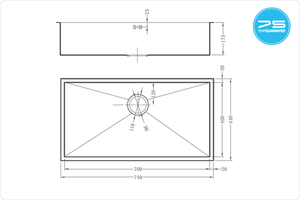 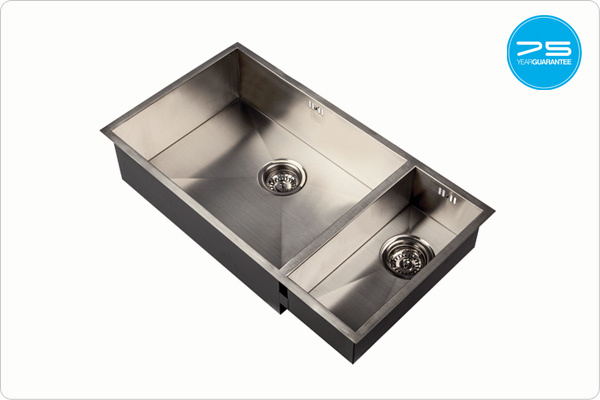 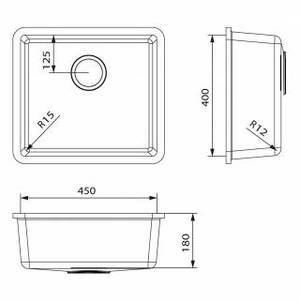 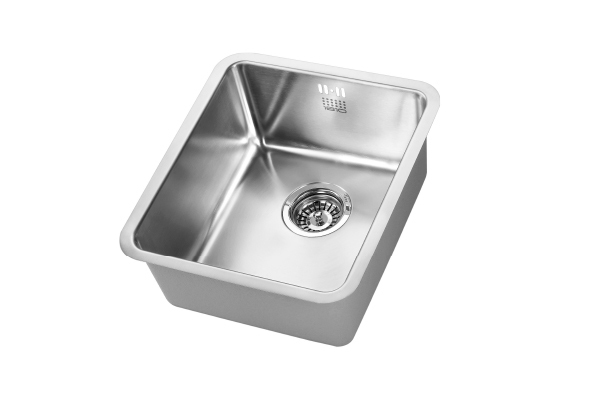 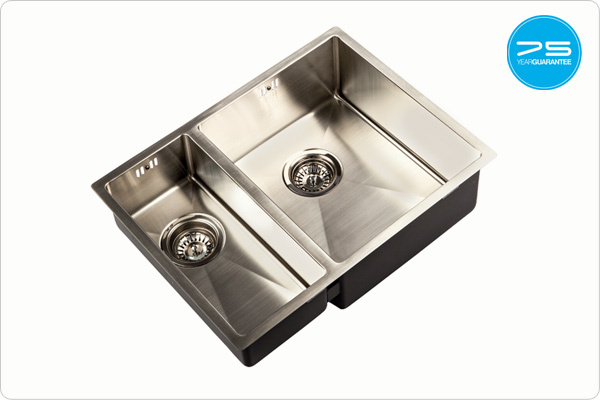 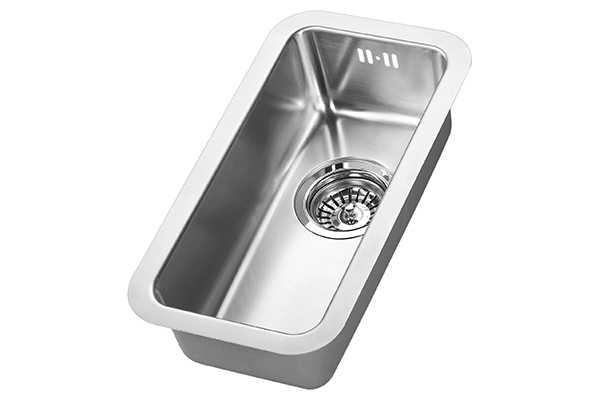 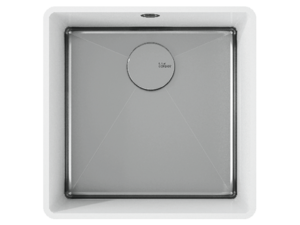 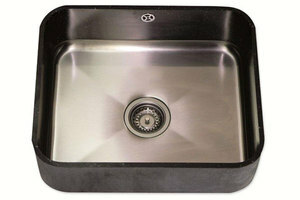 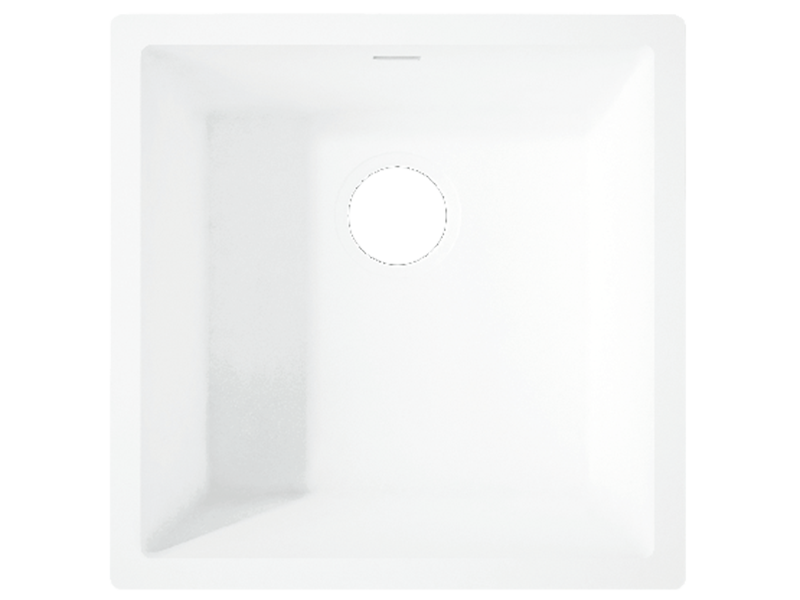 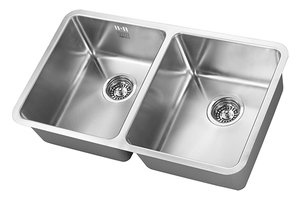 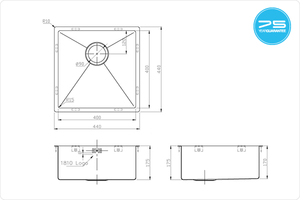 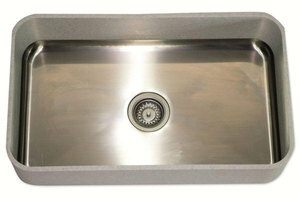 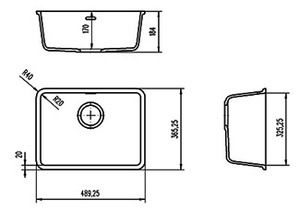 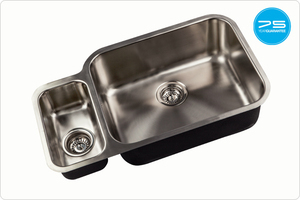 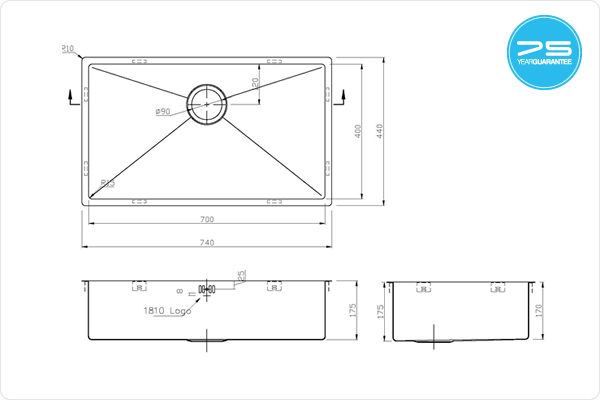 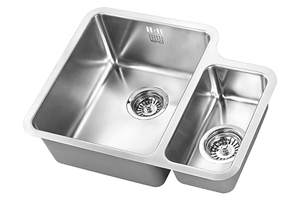 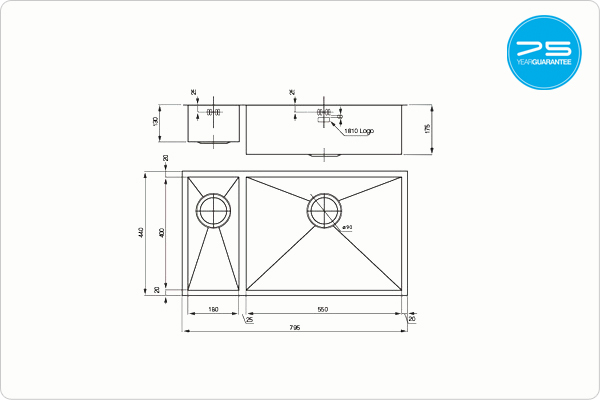 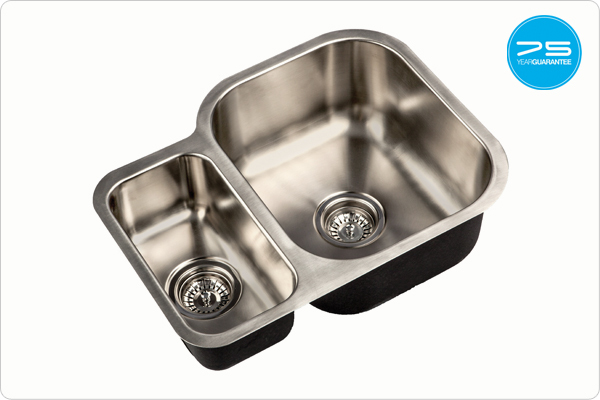 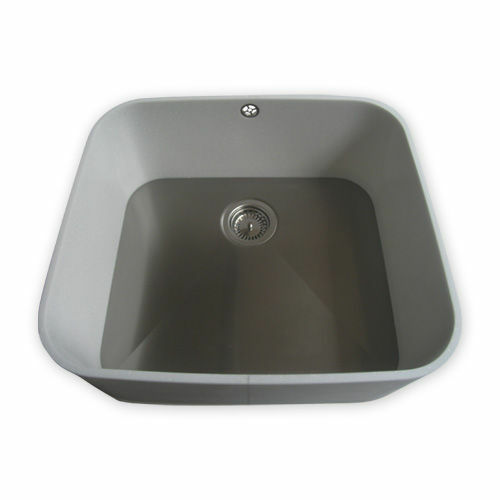 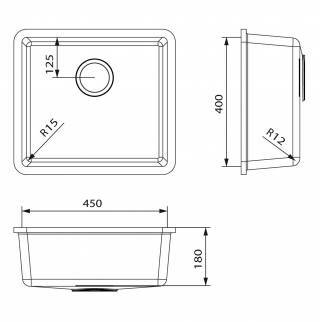 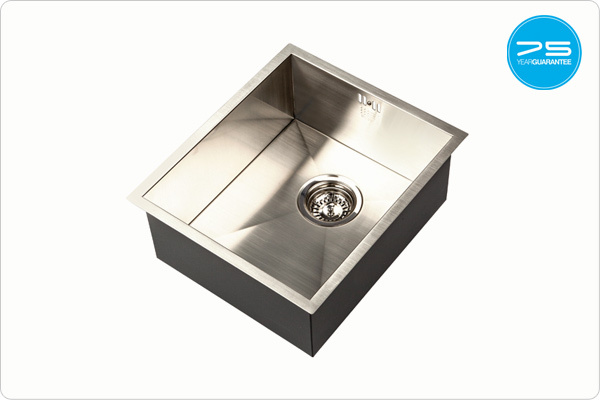 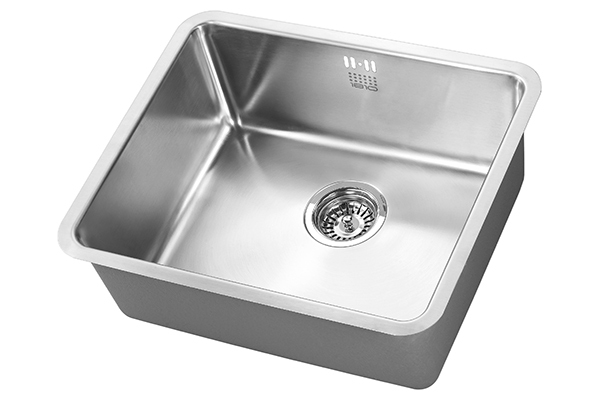 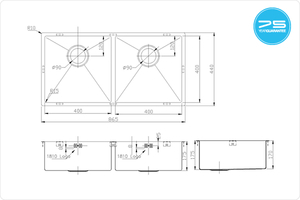 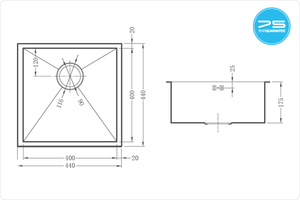 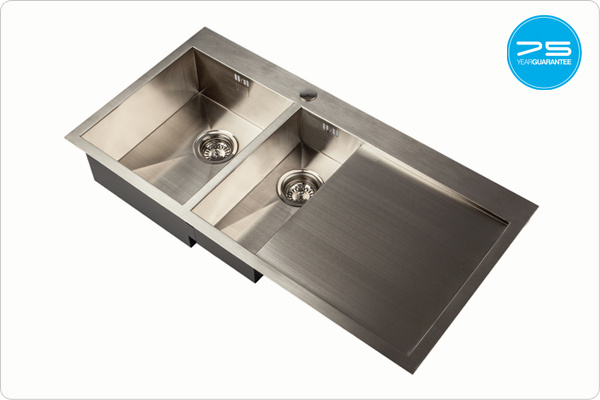 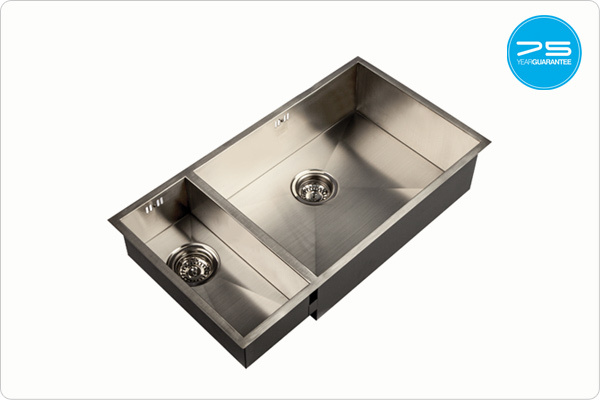 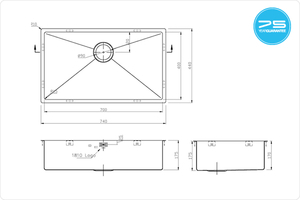 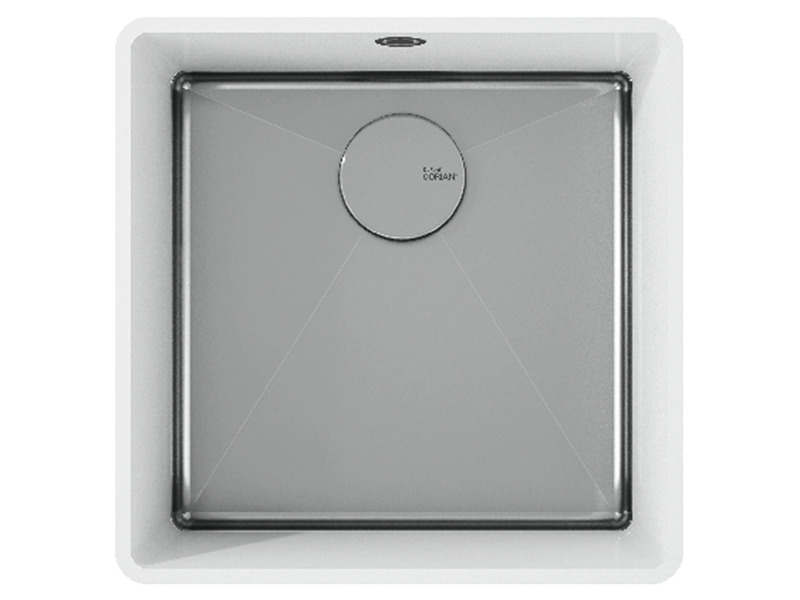 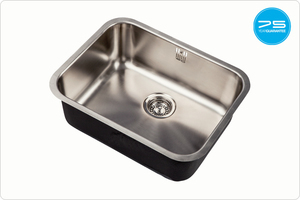 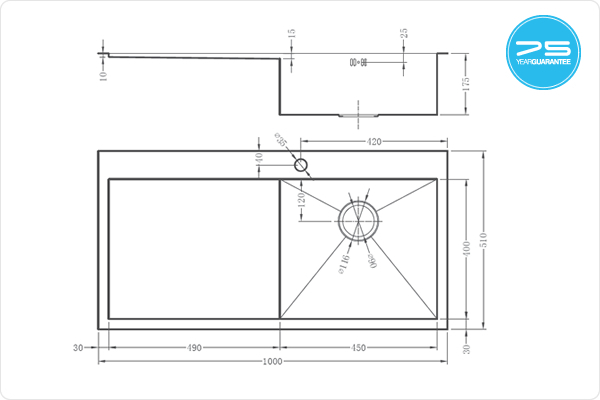 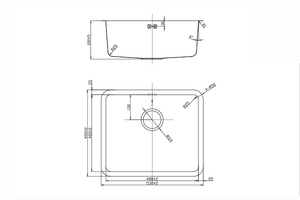 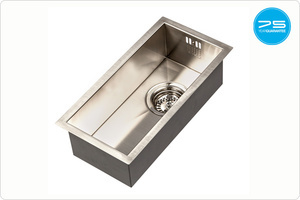 LG HI-MACS Combina sinks comprise of LG HI-MACS walls and a stainless steel base. 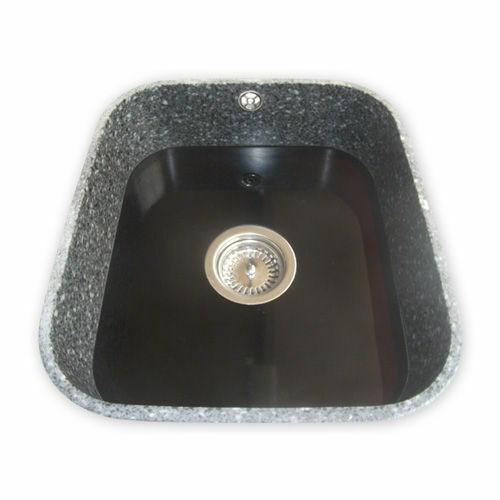 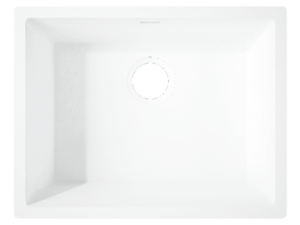 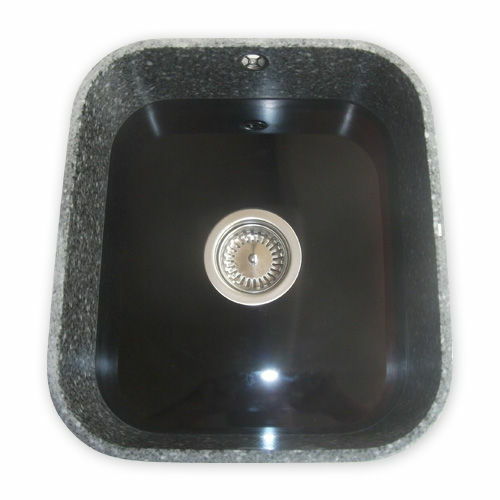 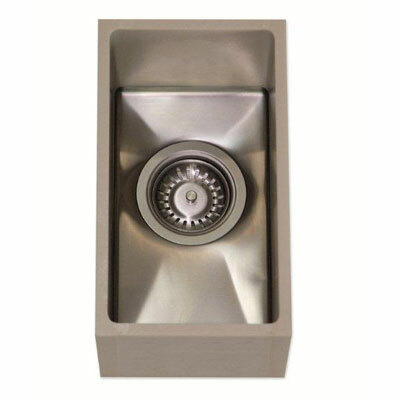 With our Staron Cast Acrylic Sinks and Bowls selection, every stain can be easily removed since it is a nonporous product. 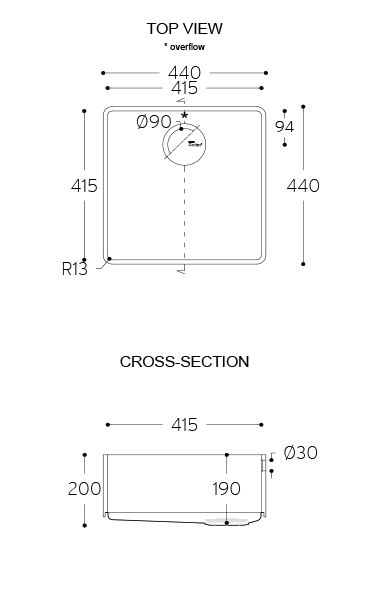 Stains and scratches are easily buffed out with a light-duty scrubbing pad or a mild abrasive cleanser, which we will provide free of charge with every purchase. 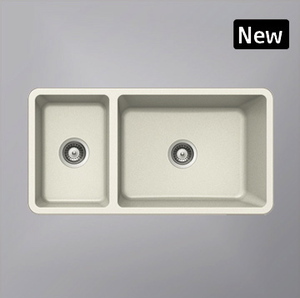 It is well matched with Staron® artificial marble range. 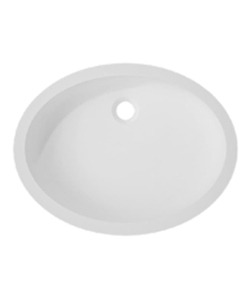 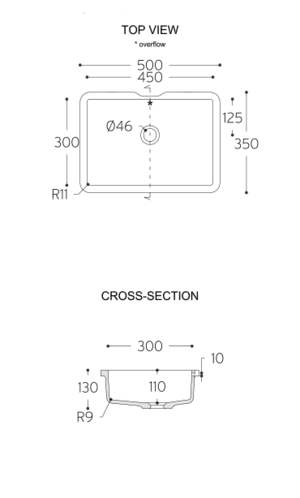 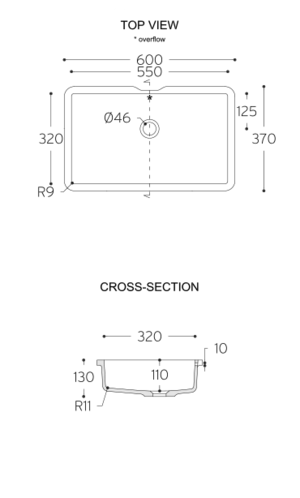 Available in Solid Bright White (BW010). 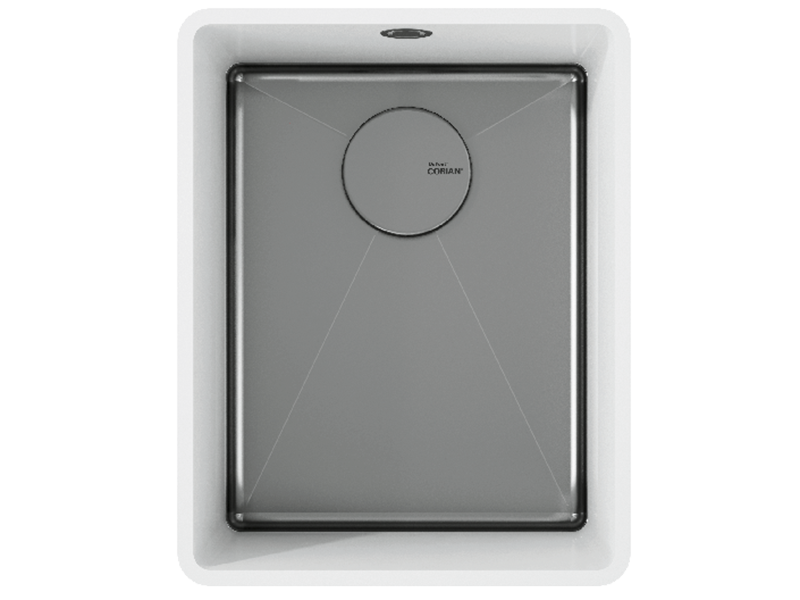 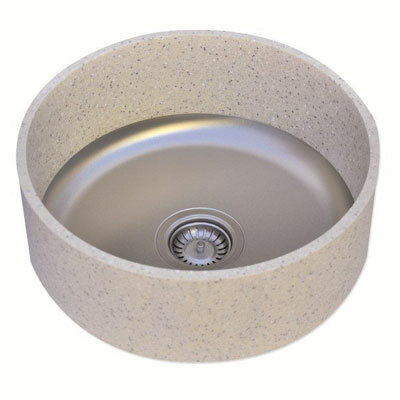 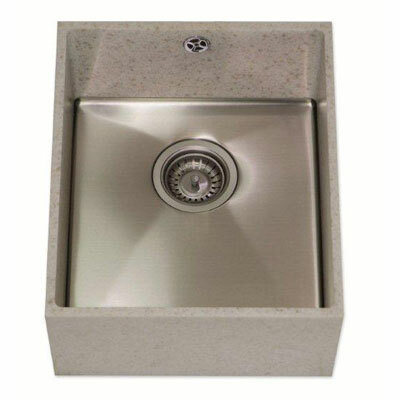 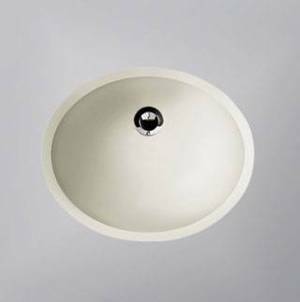 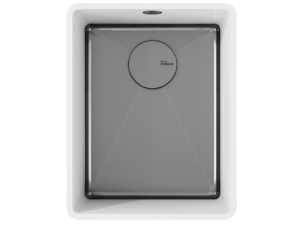 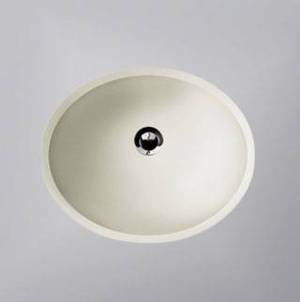 Whether being used in a domestic house or commercial project such as hotel, retail, healthcare or transport, a Hanex vanity bowl is sophisticated and practical. 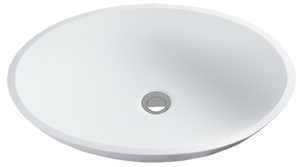 Available in N-WHITE (s-008), White (s-002). 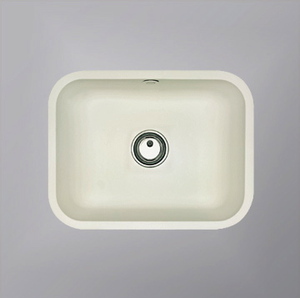 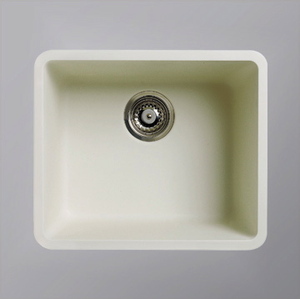 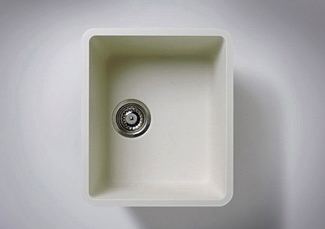 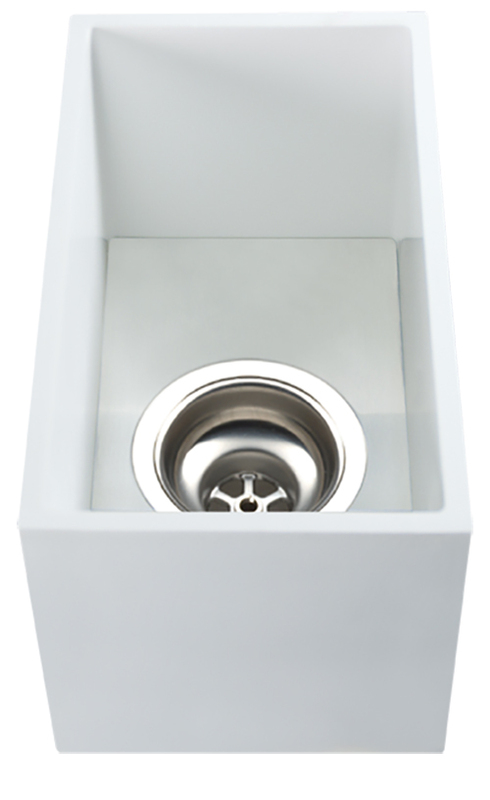 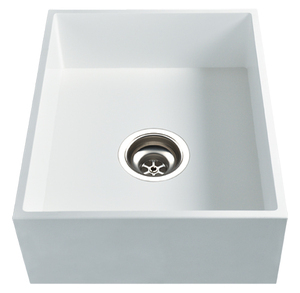 Hanex kitchen sinks are made from a premium acrylic Solid Surface material, offering endless design possibilities and unrivalled product performance. 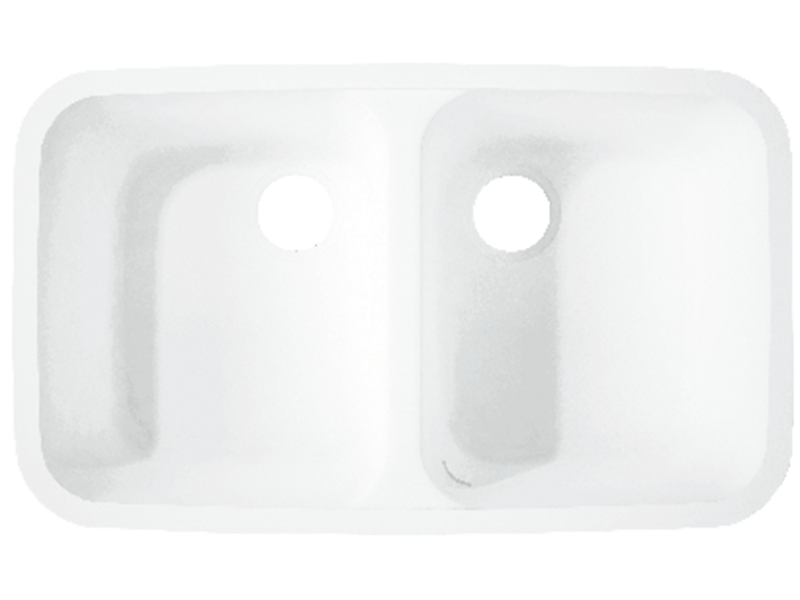 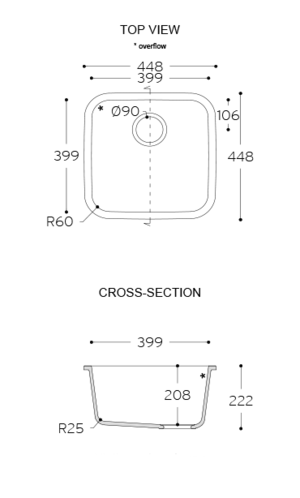 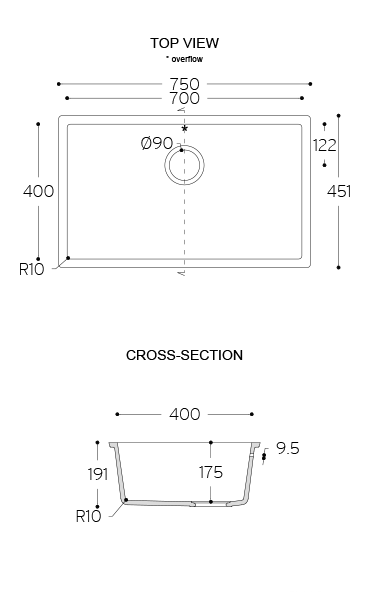 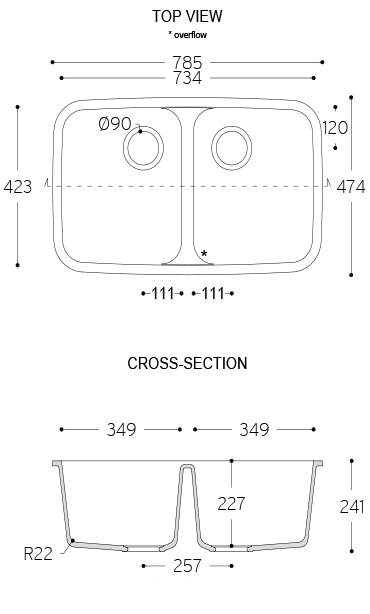 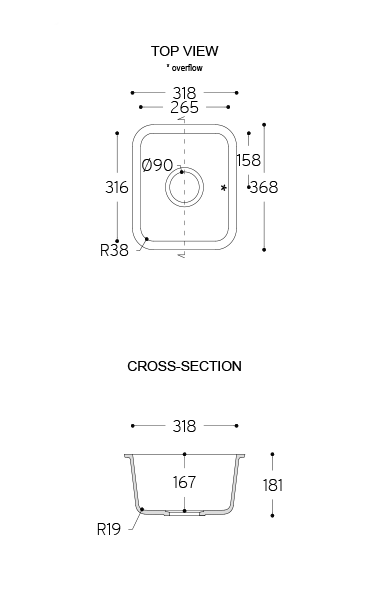 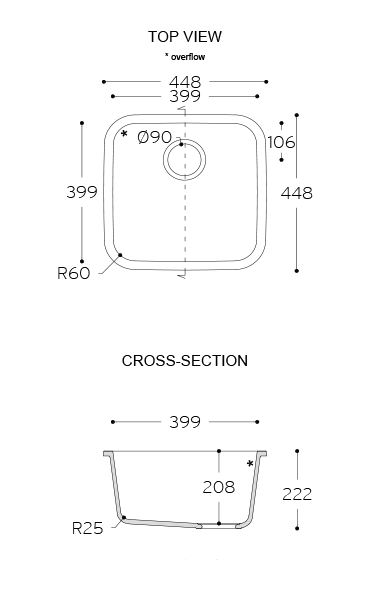 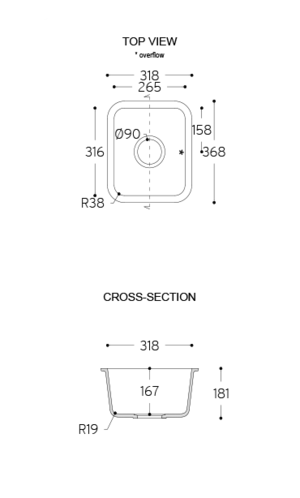 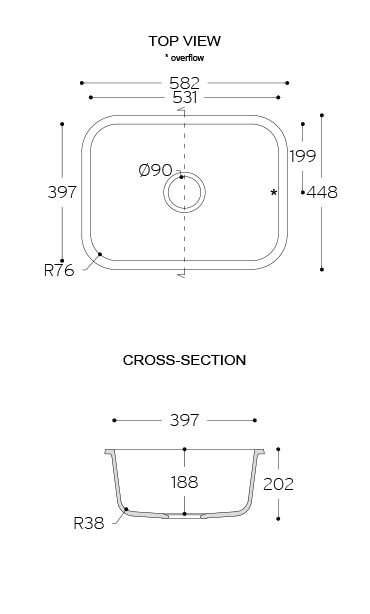 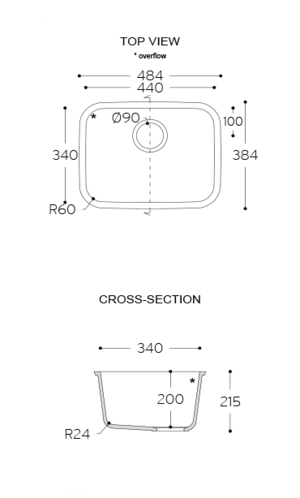 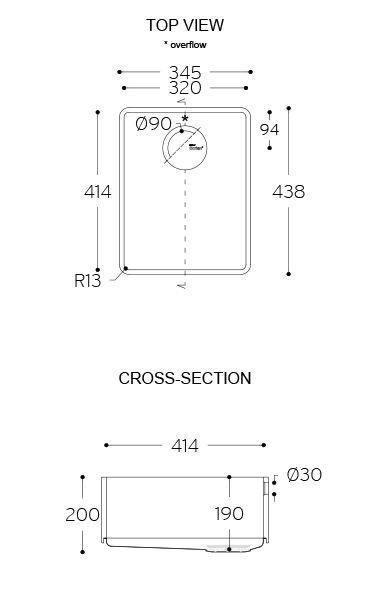 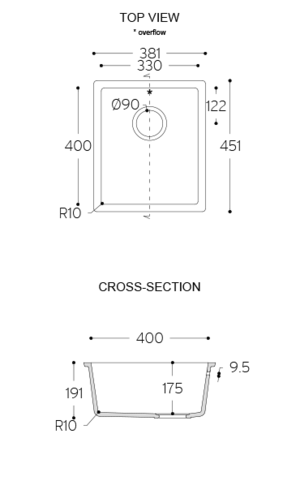 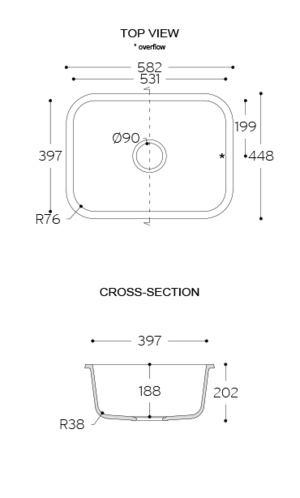 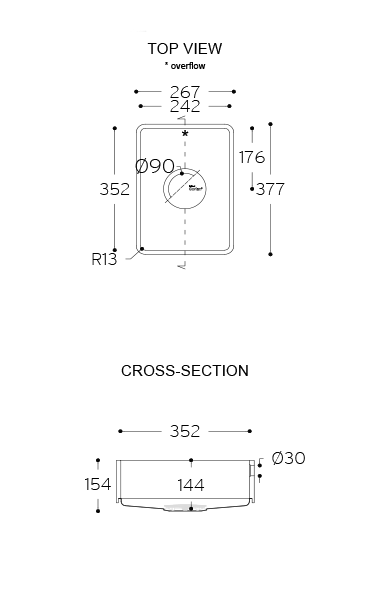 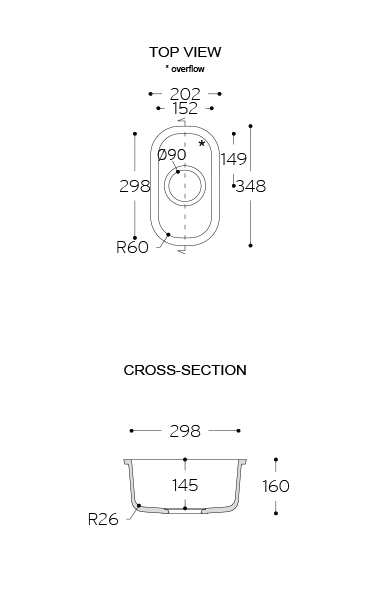 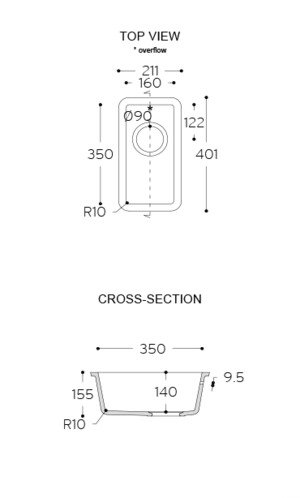 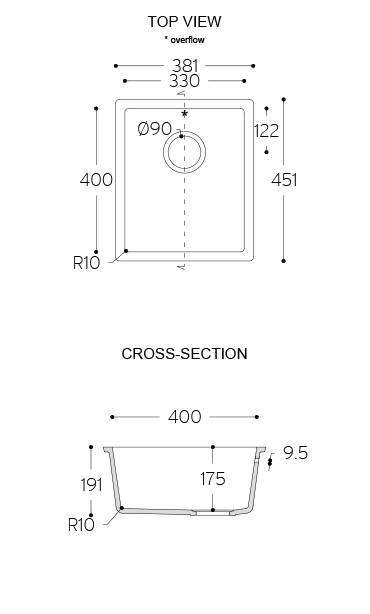 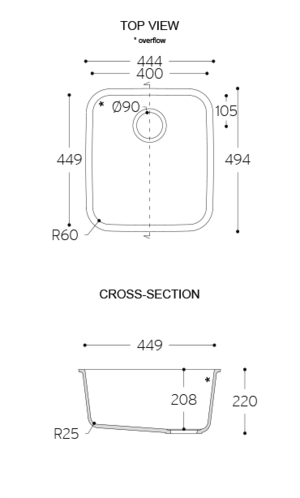 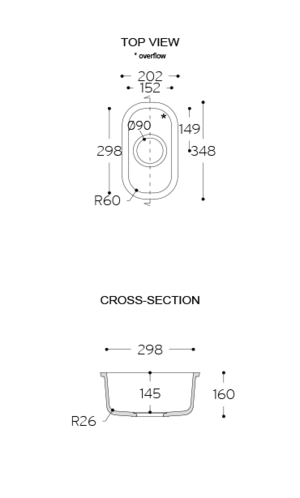 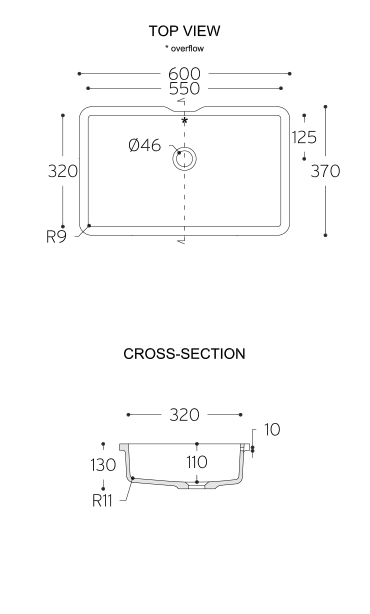 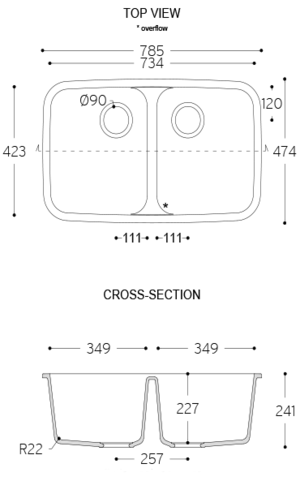 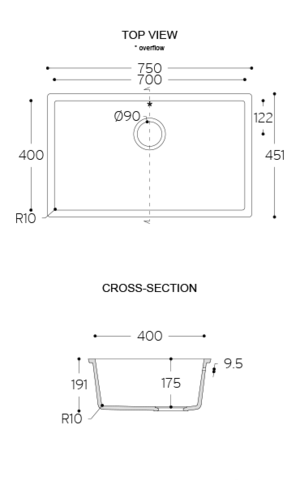 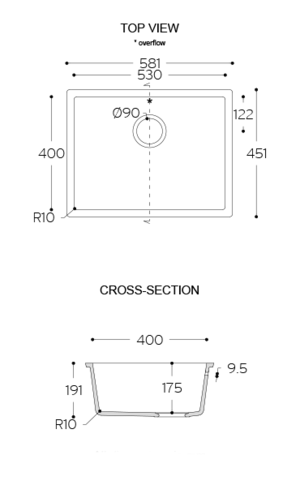 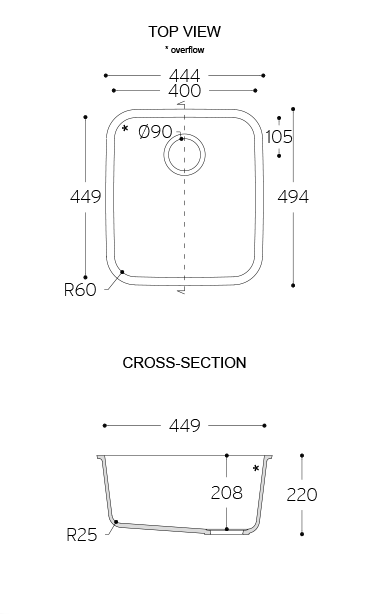 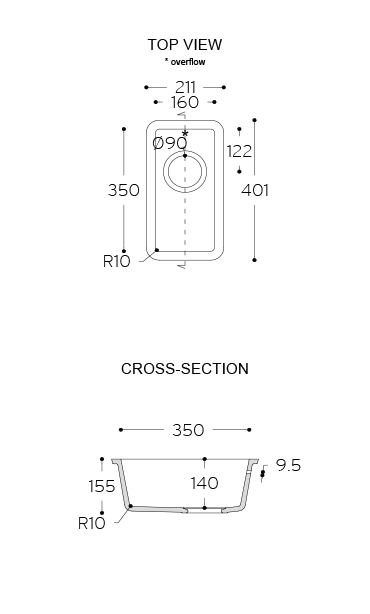 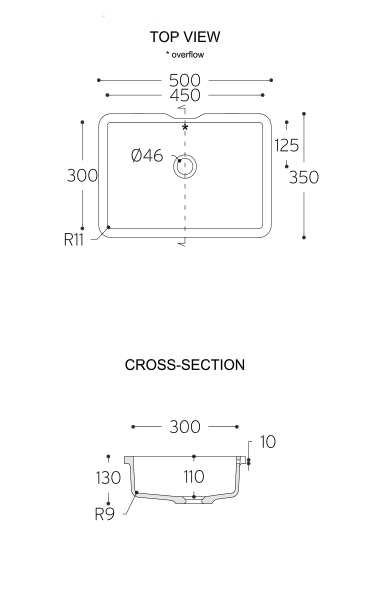 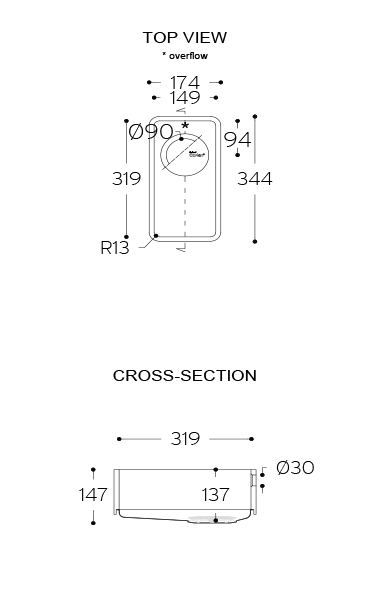 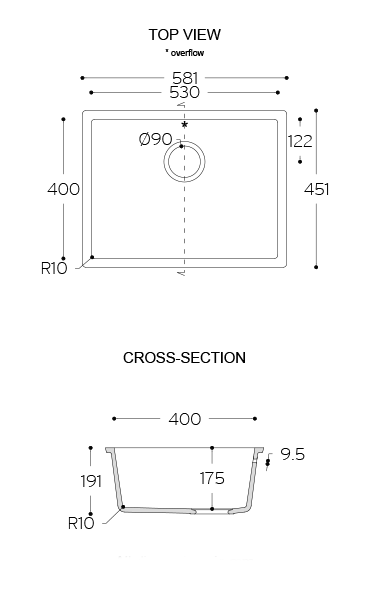 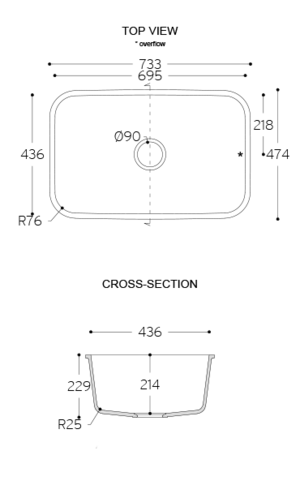 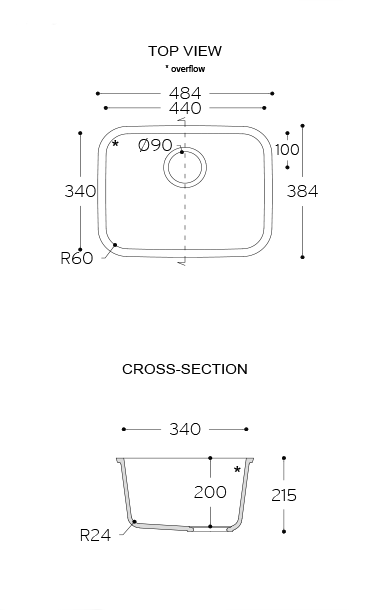 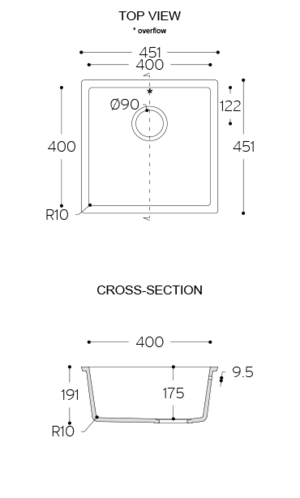 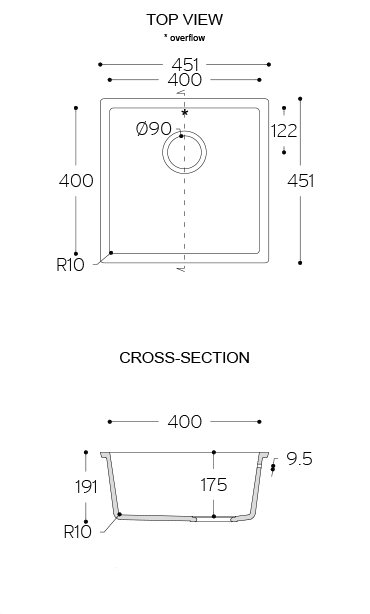 Available inN-WHITE (s-008), White (s-002). 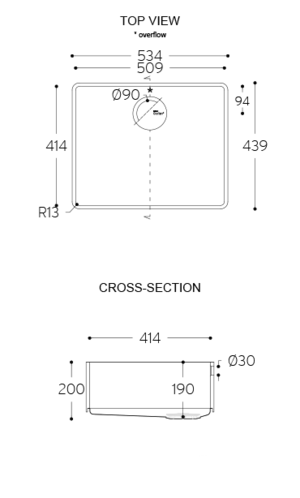 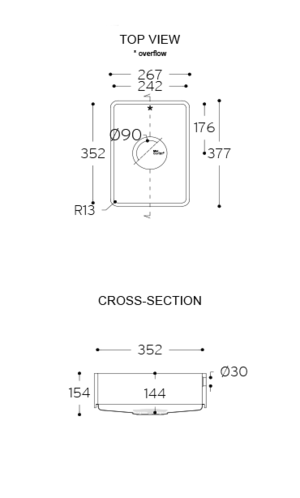 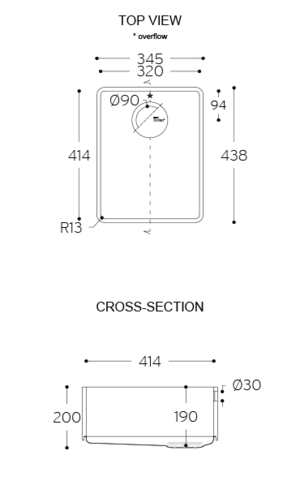 The Etro Range has a curved classic design.